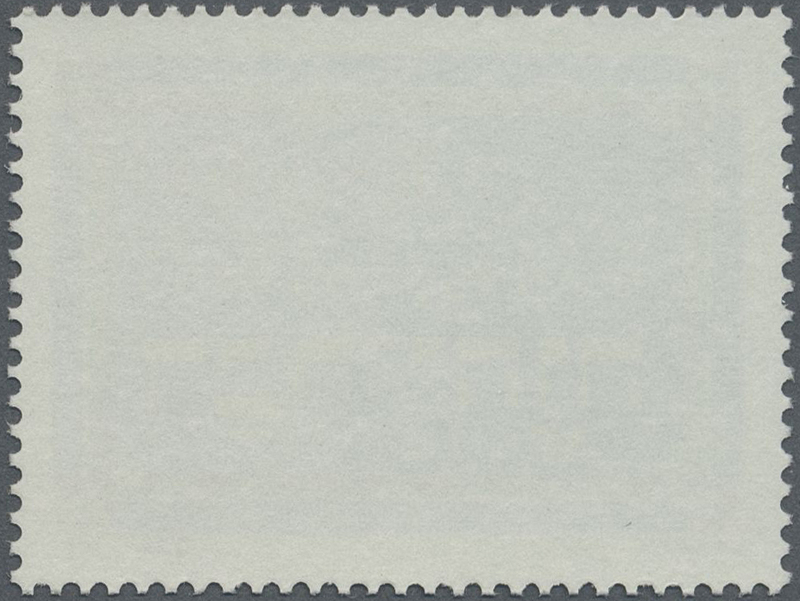 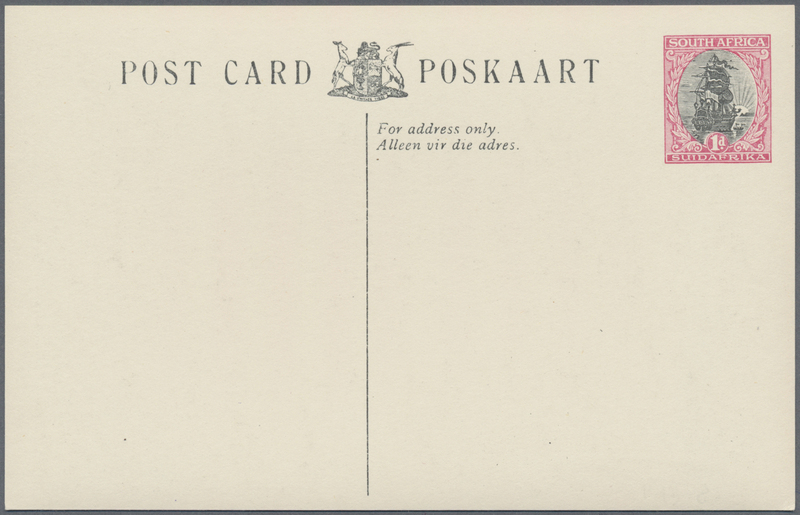 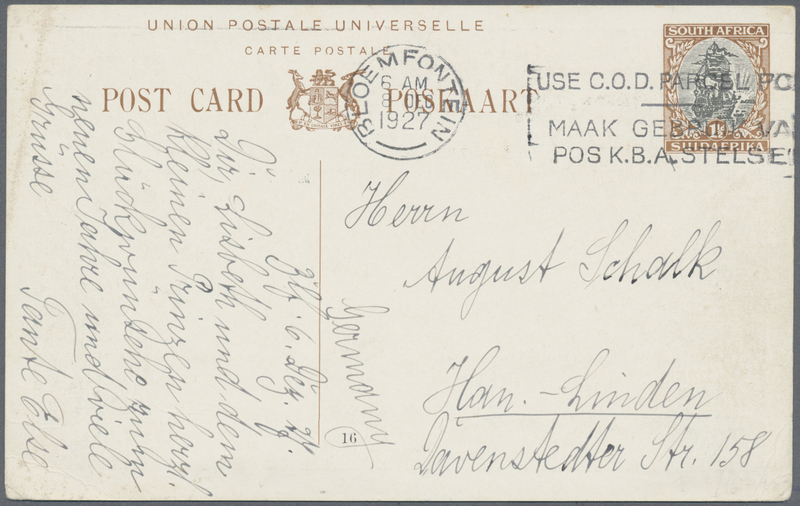 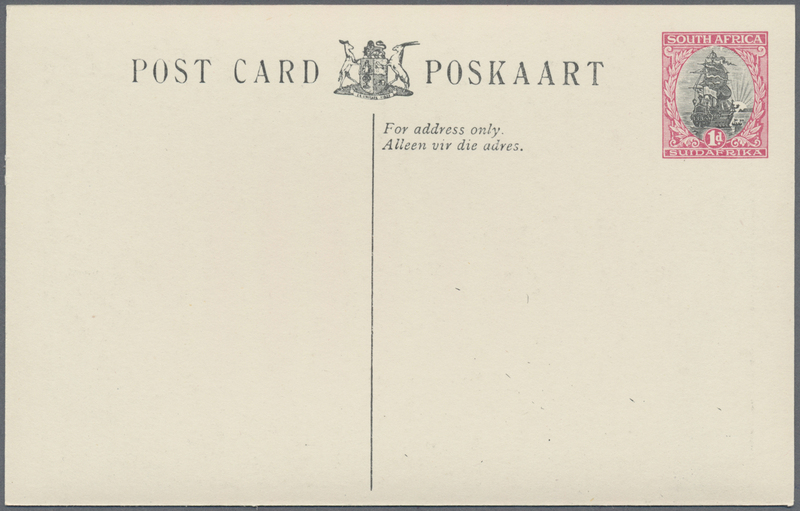 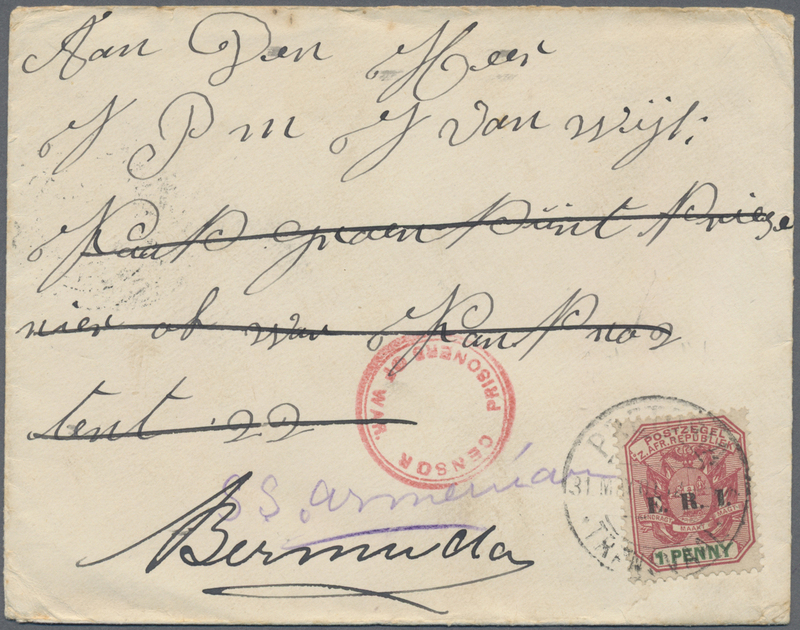 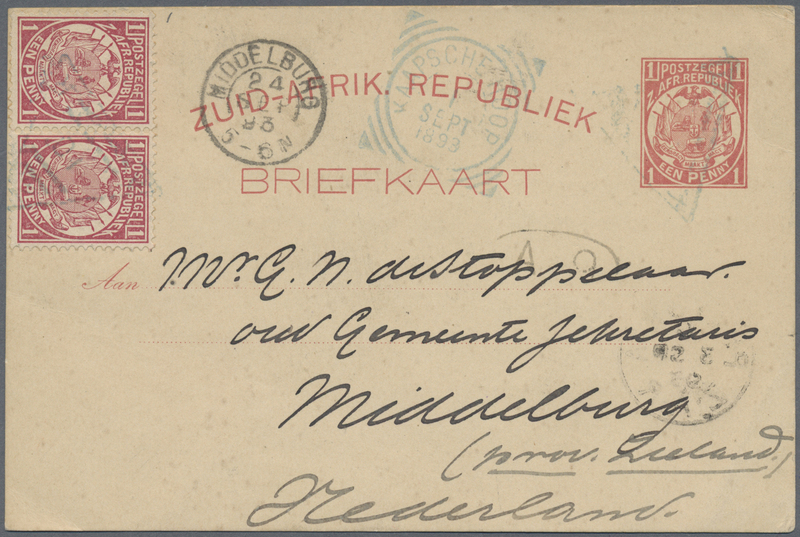 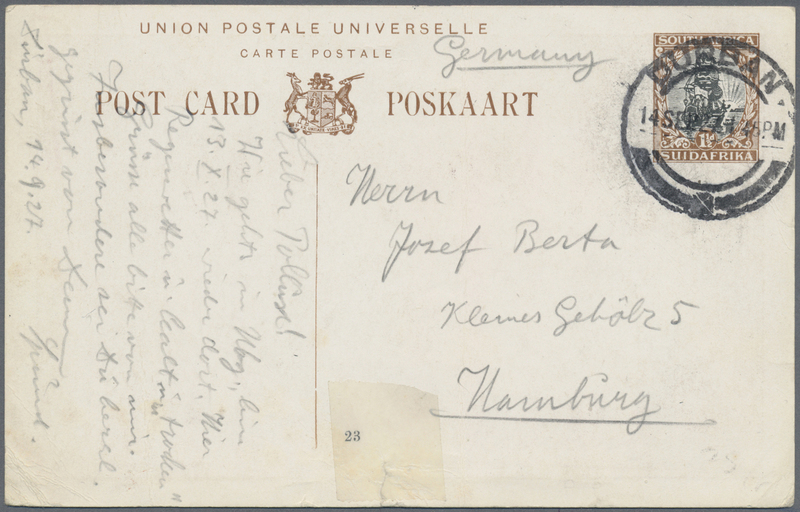 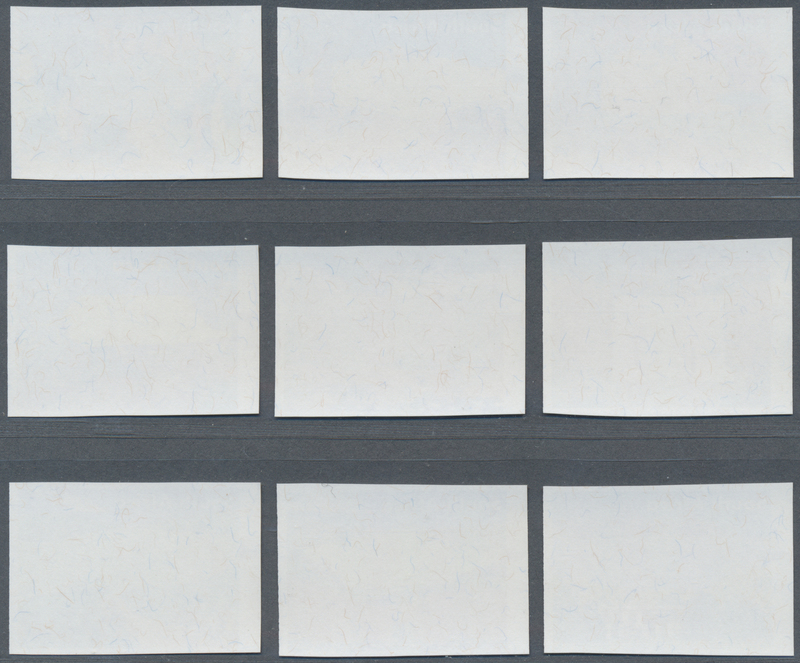 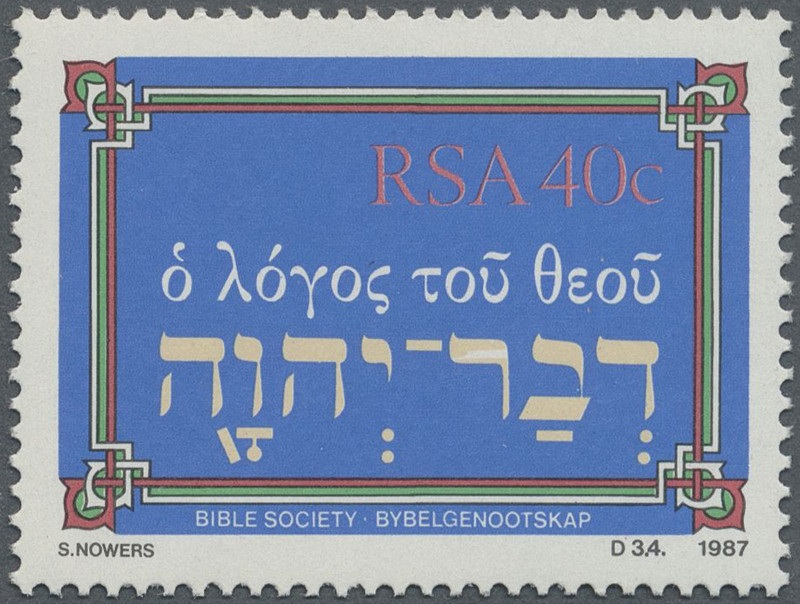 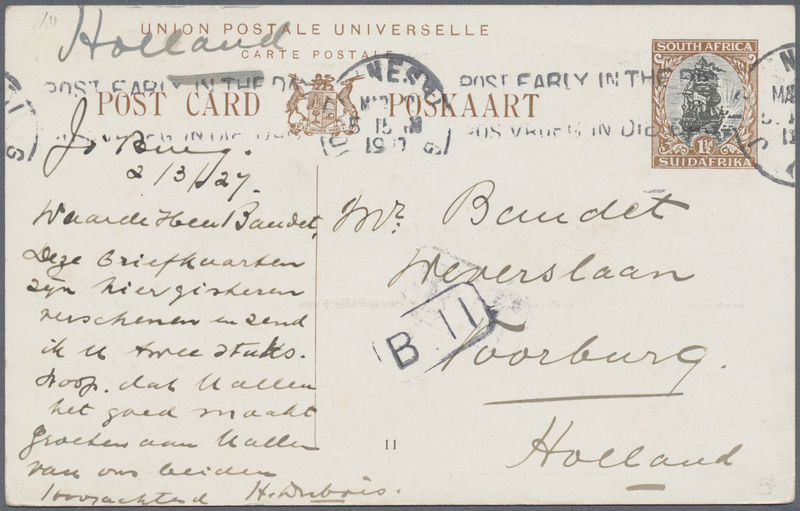 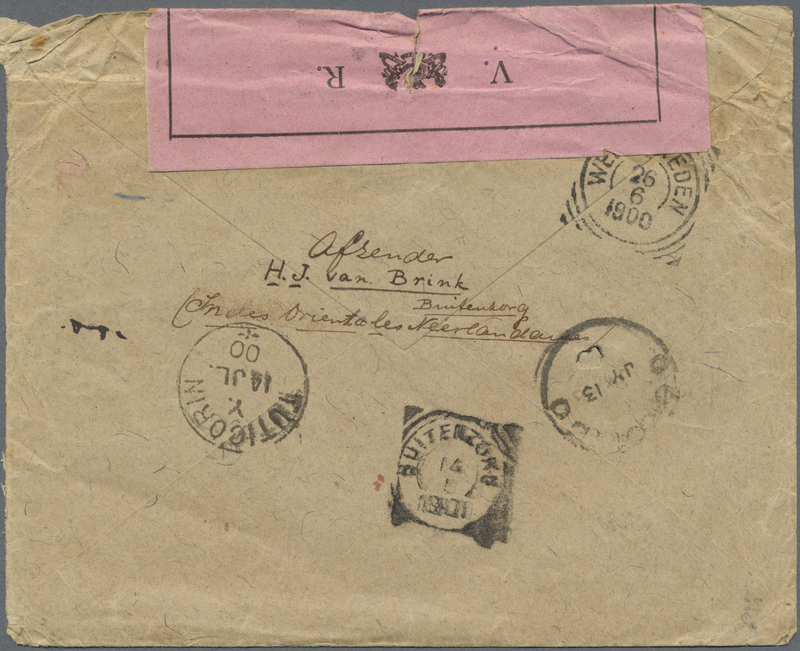 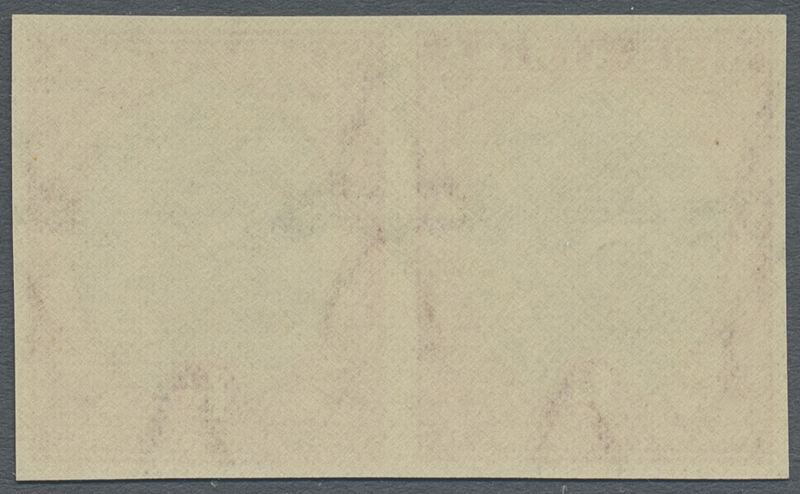 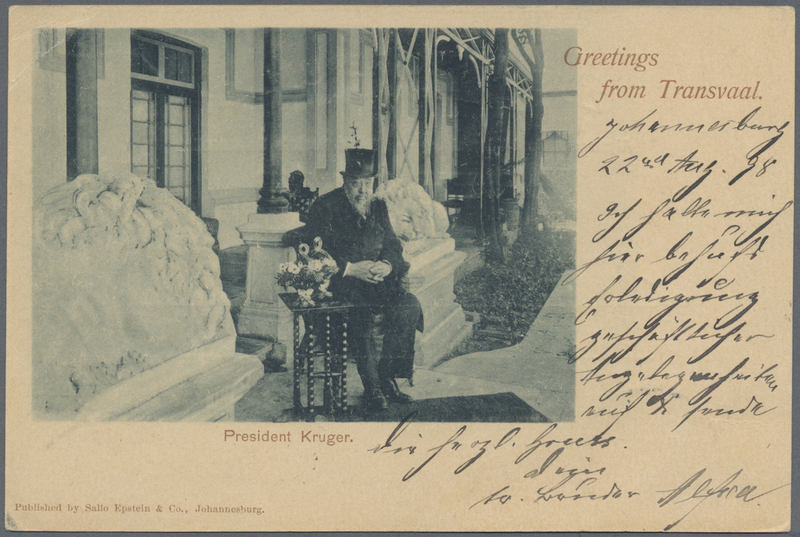 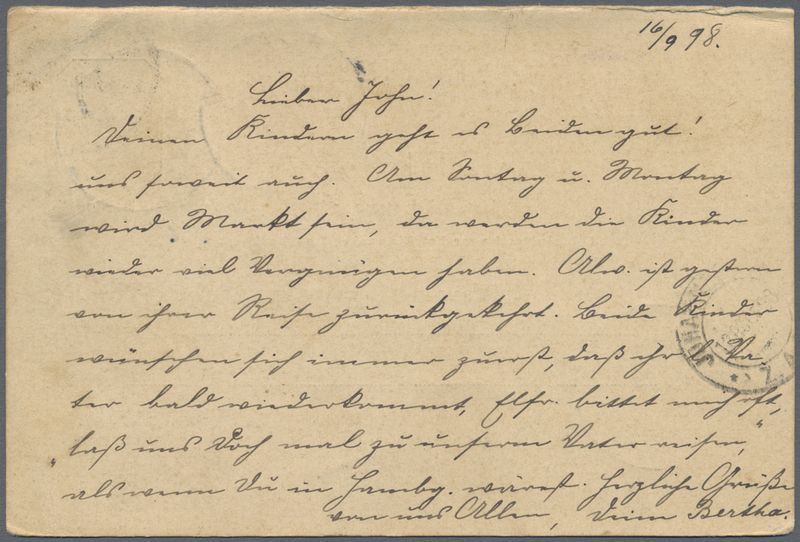 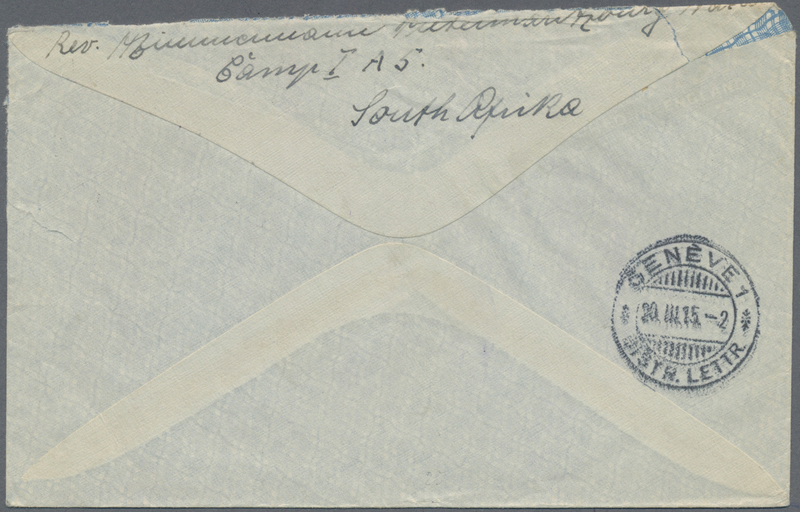 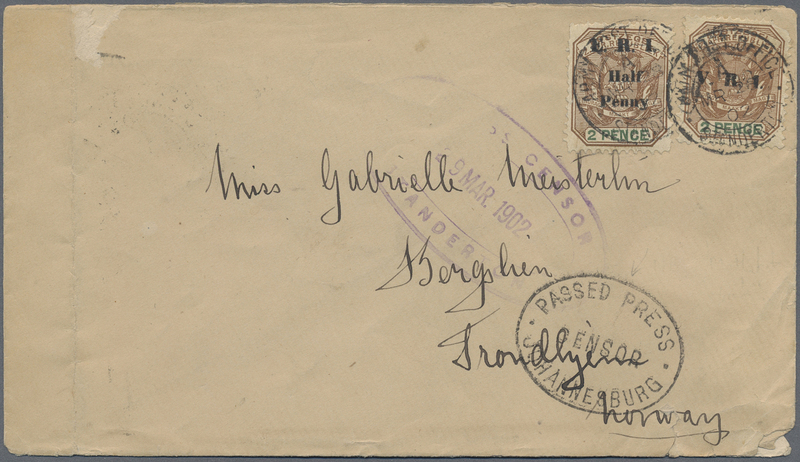 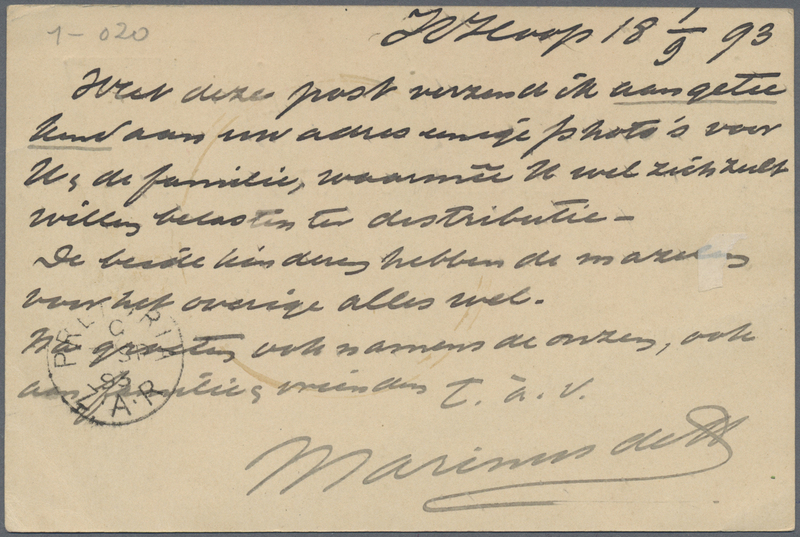 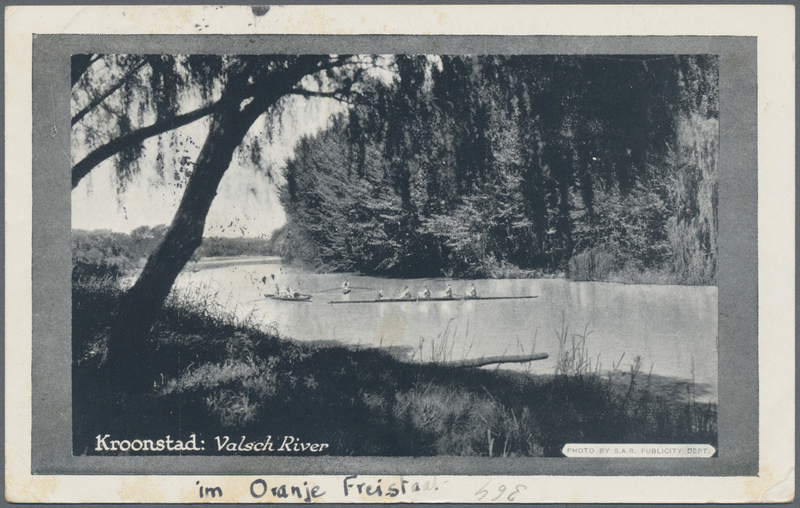 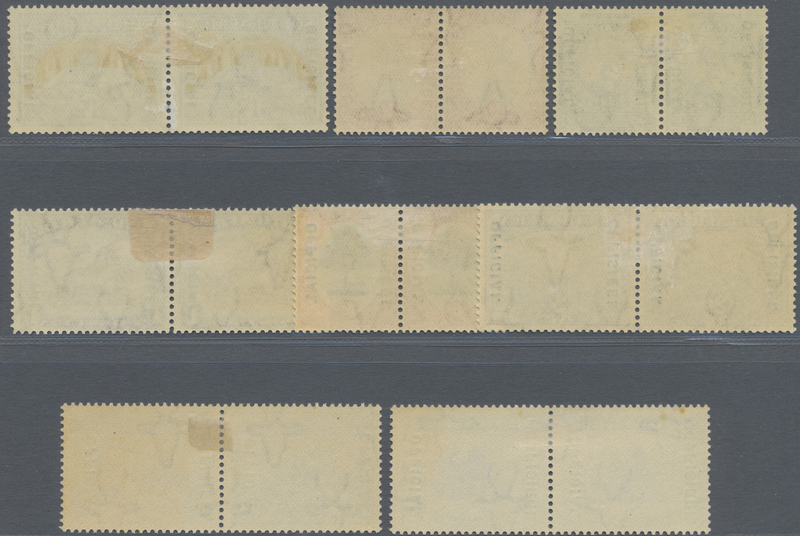 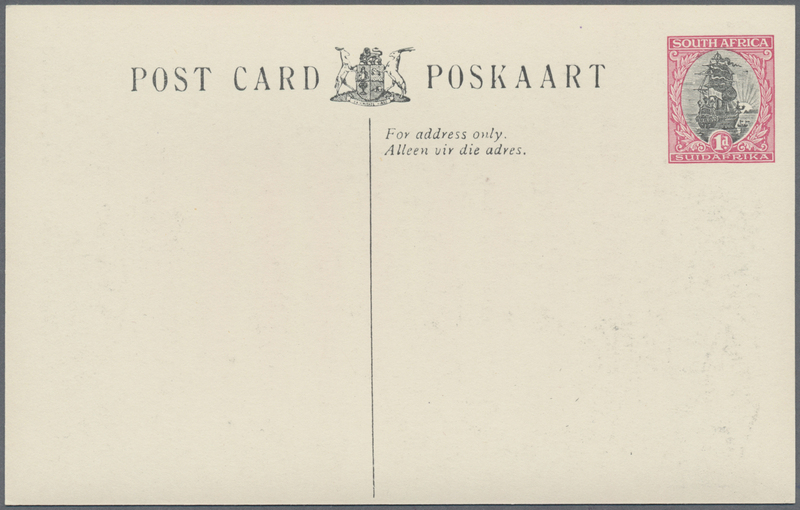 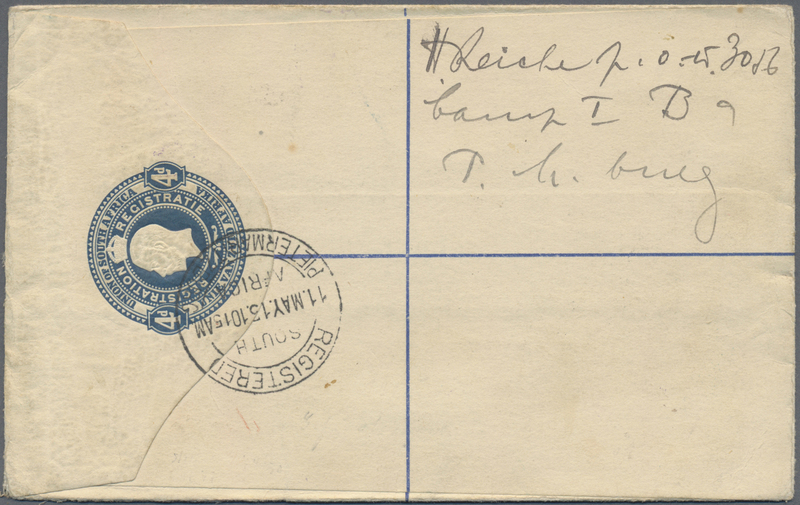 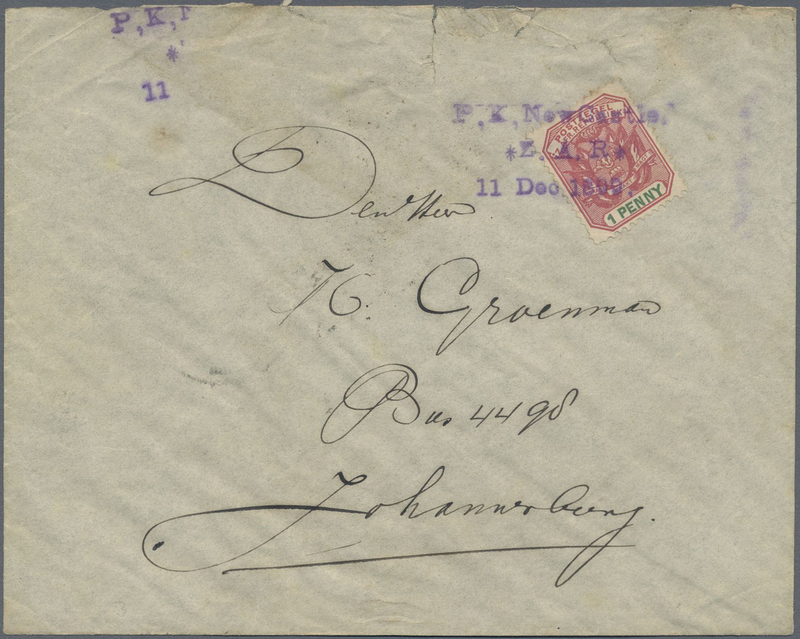 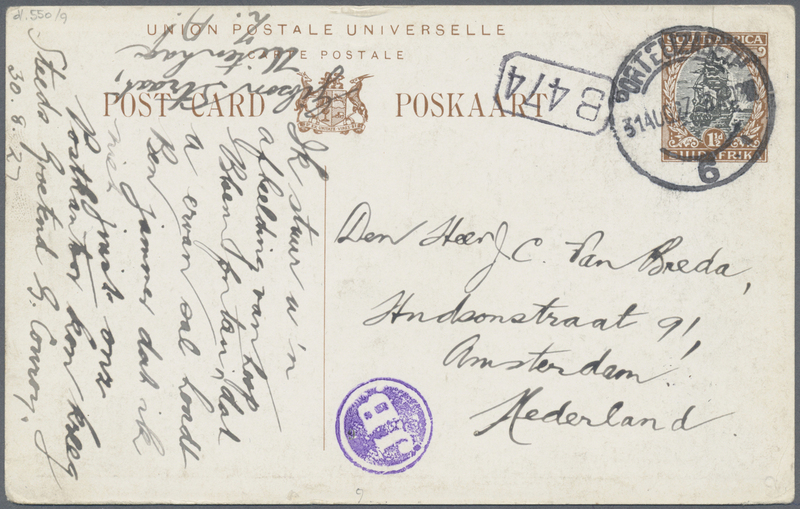 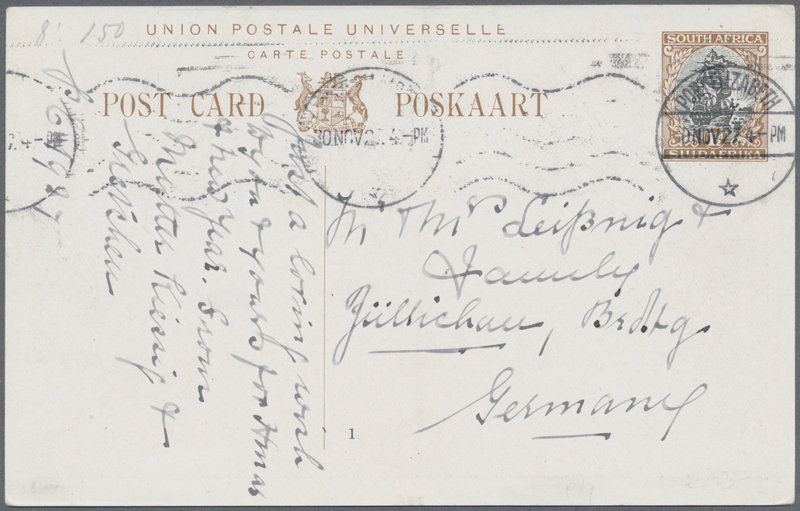 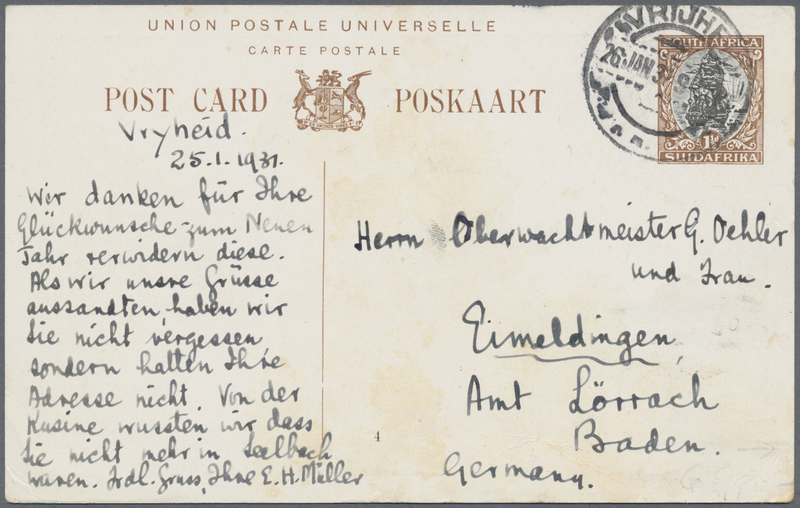 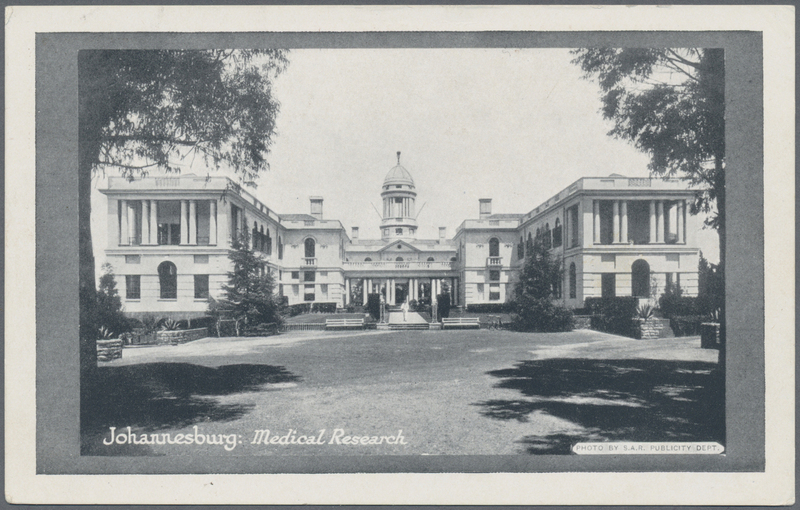 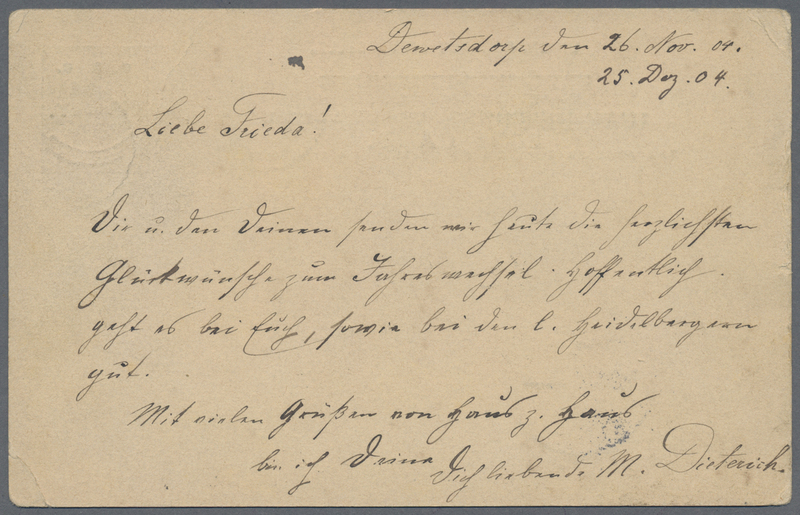 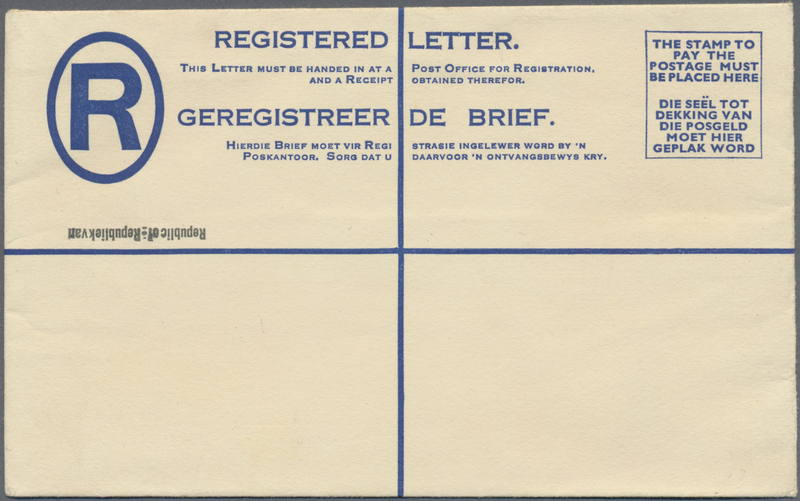 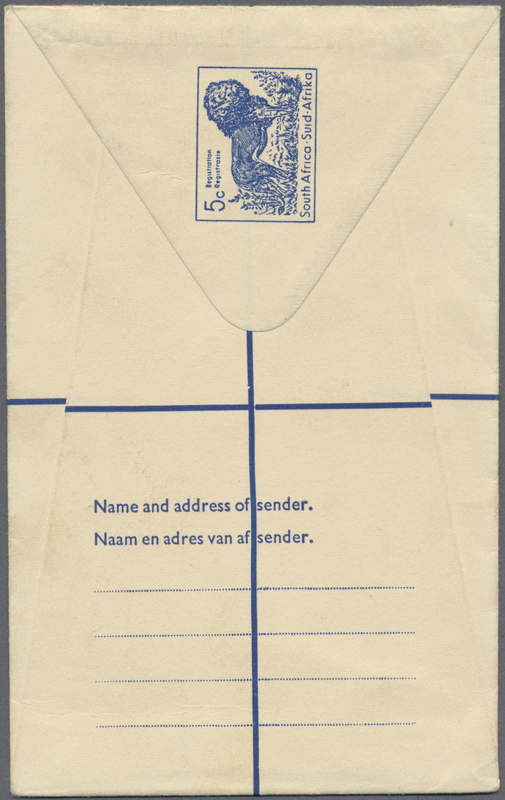 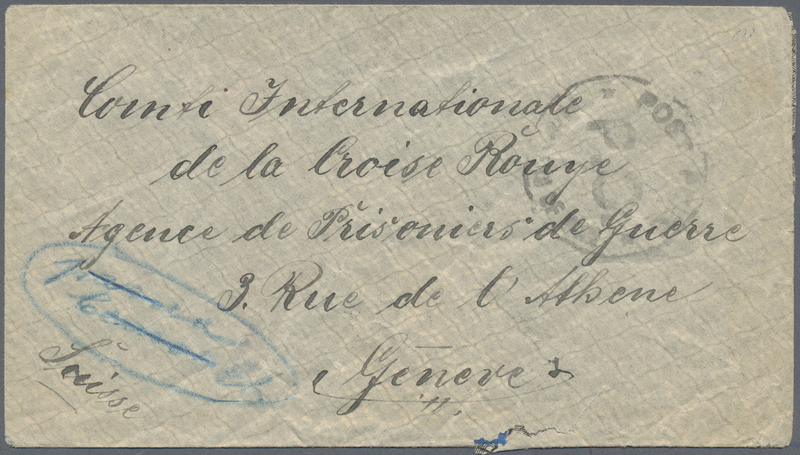 12754 Ganzsache (Complete) H&G A1 1901, Natal lettercard QV 1d. 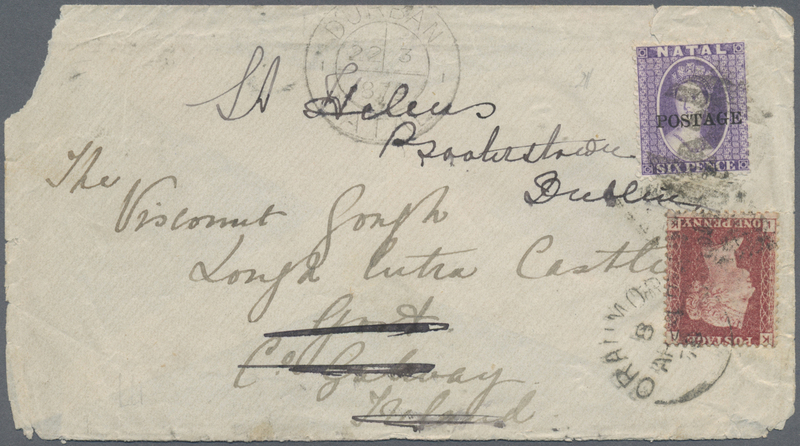 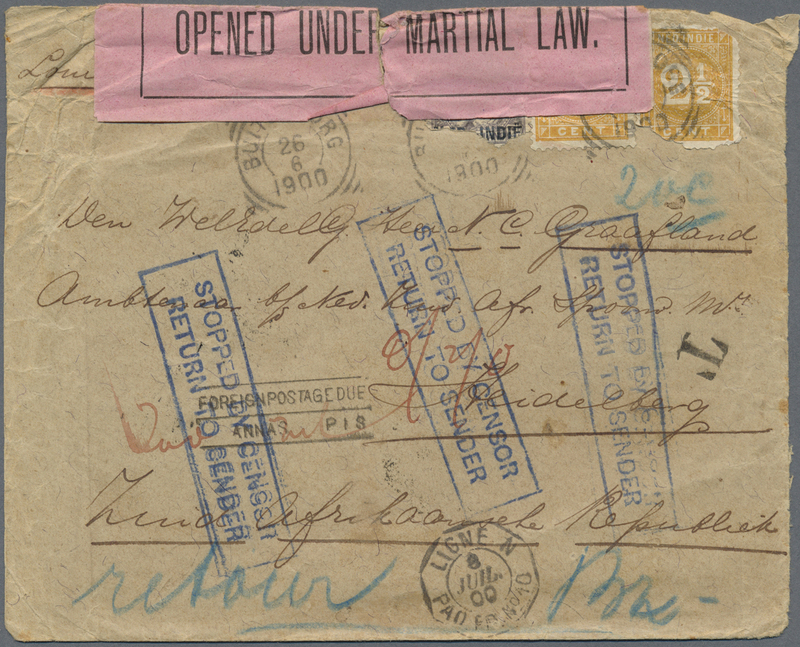 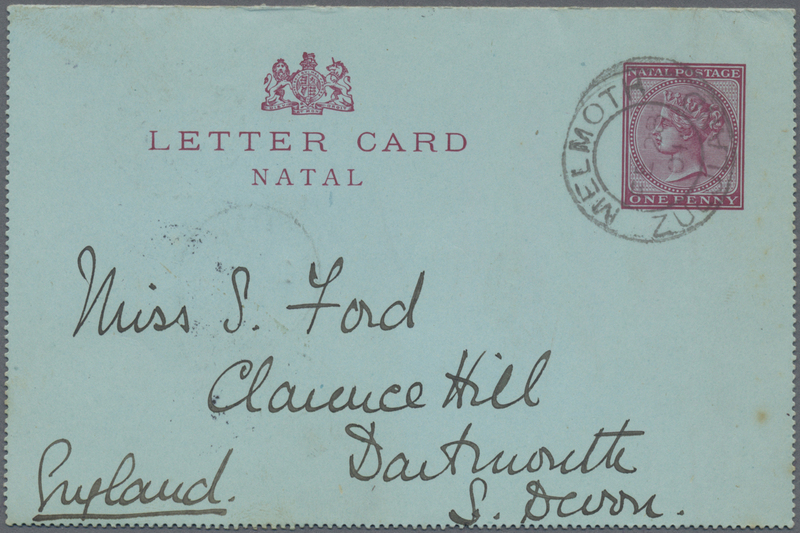 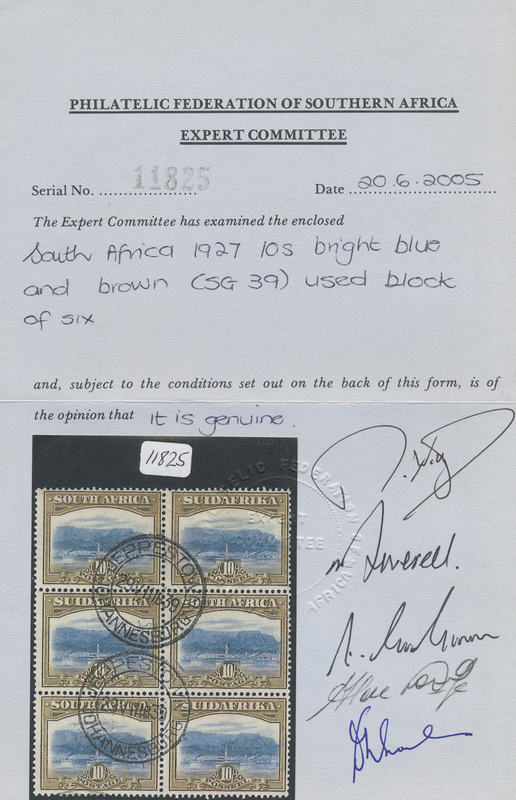 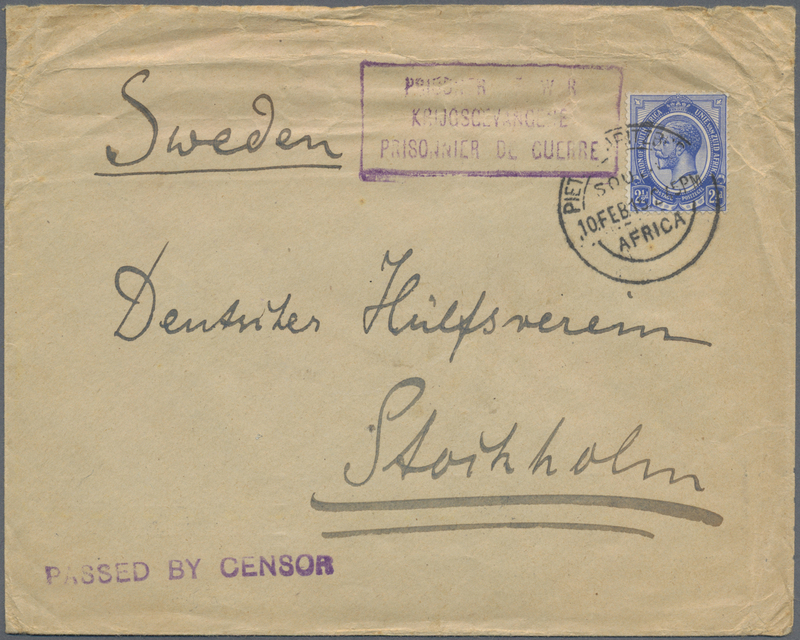 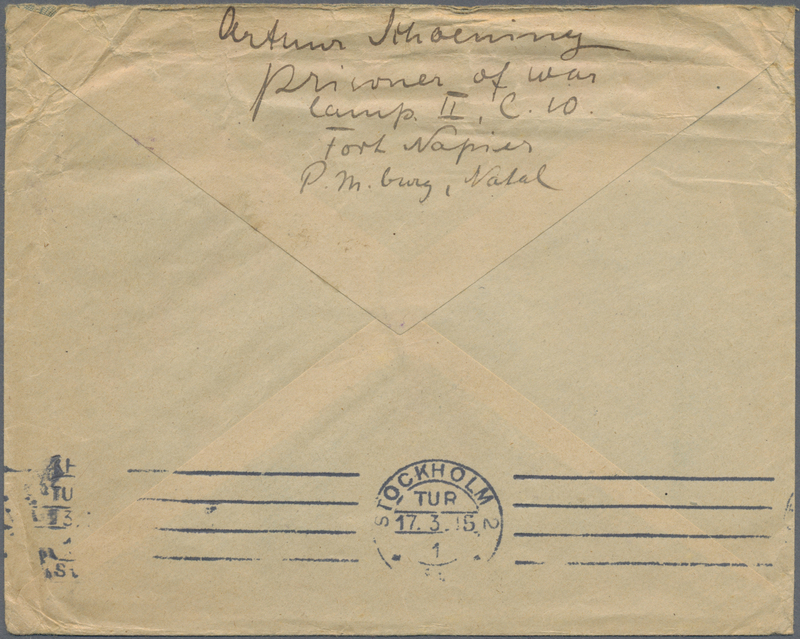 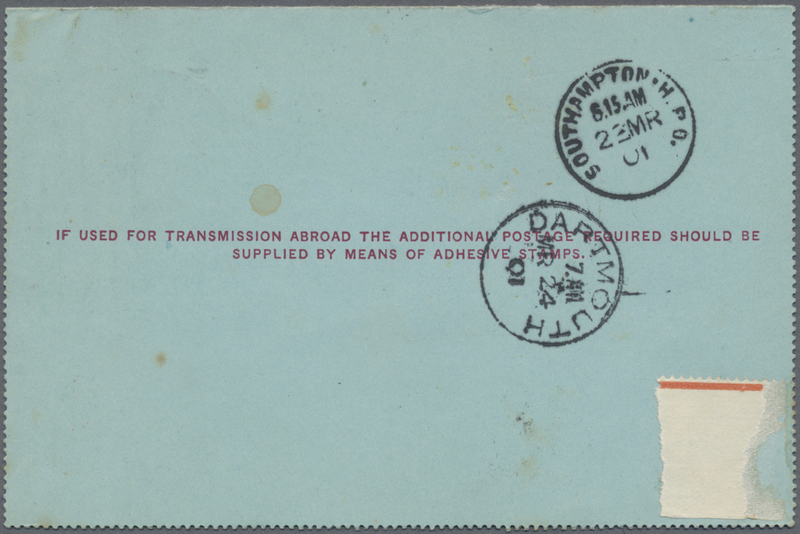 red on blue used "MELMOTH ZULULAND FE 28 01" to Dartmouth/England with comprehensive full message, on reverse arrivals "SOUTHAMPTON 23.3. and Dartmouth 24.3., slight toning spots/imperfections. 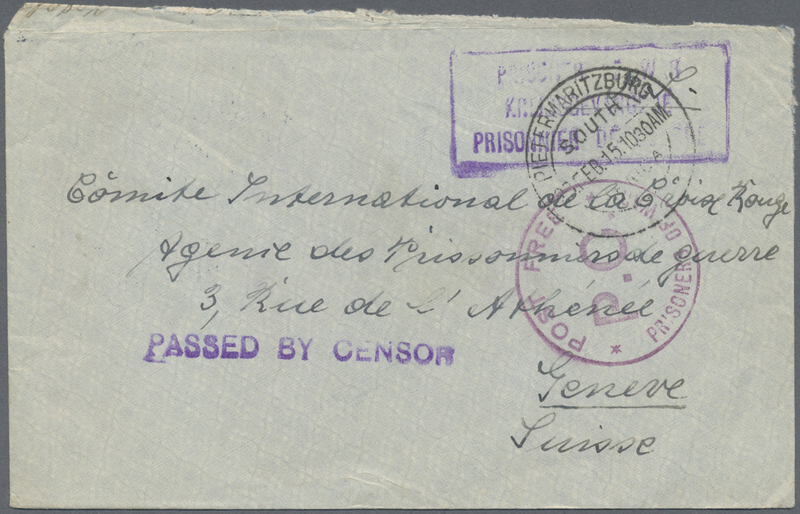 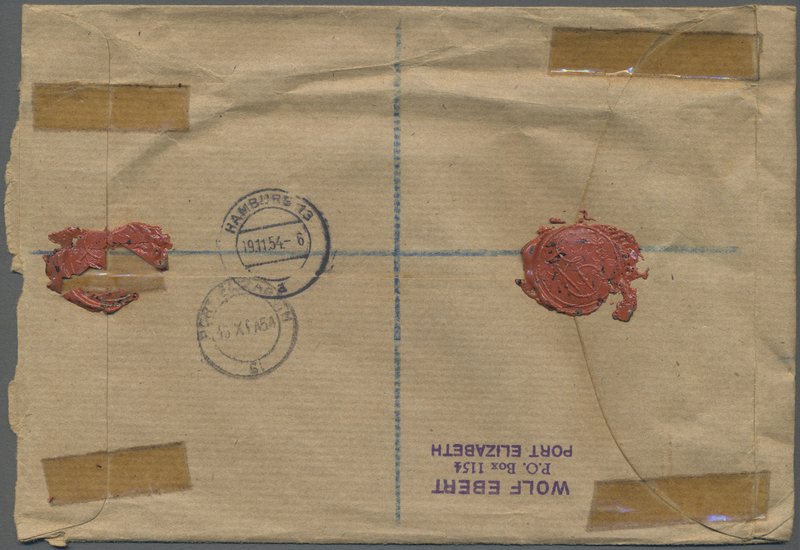 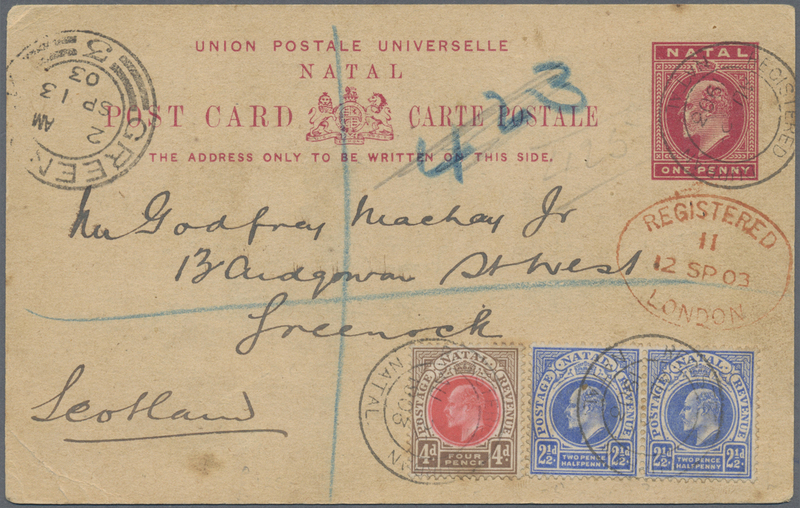 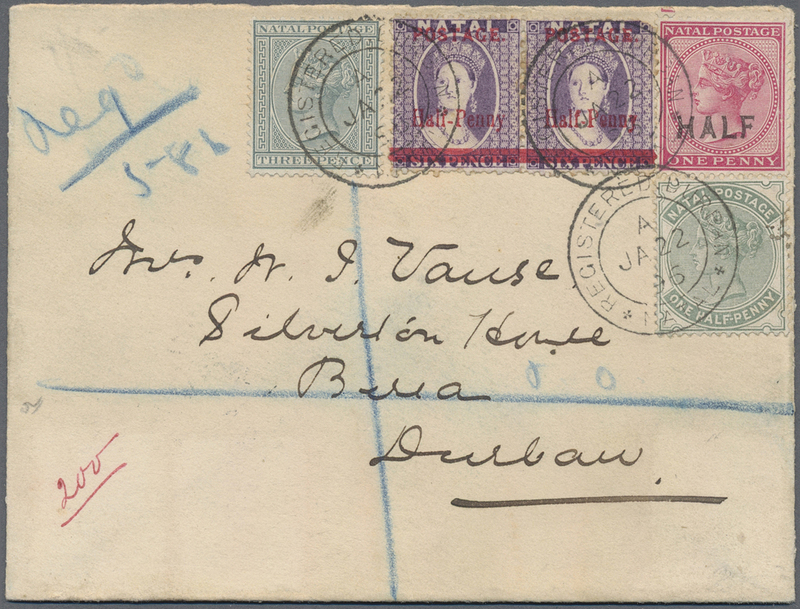 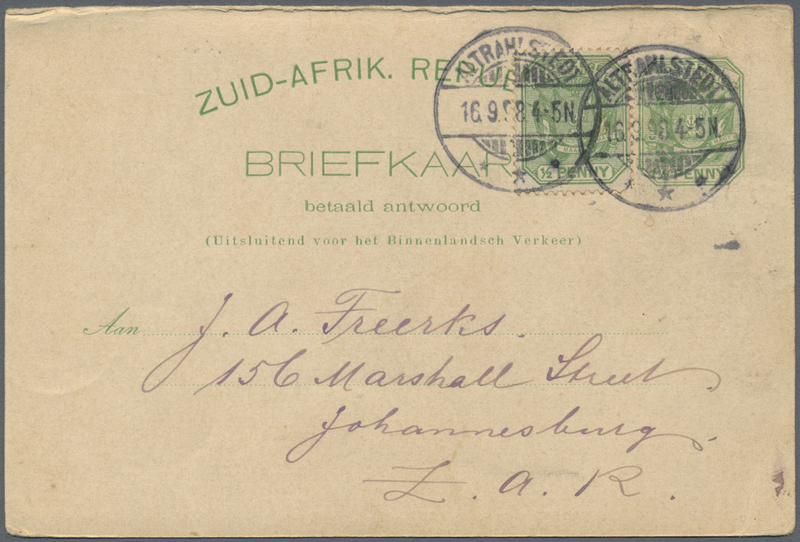 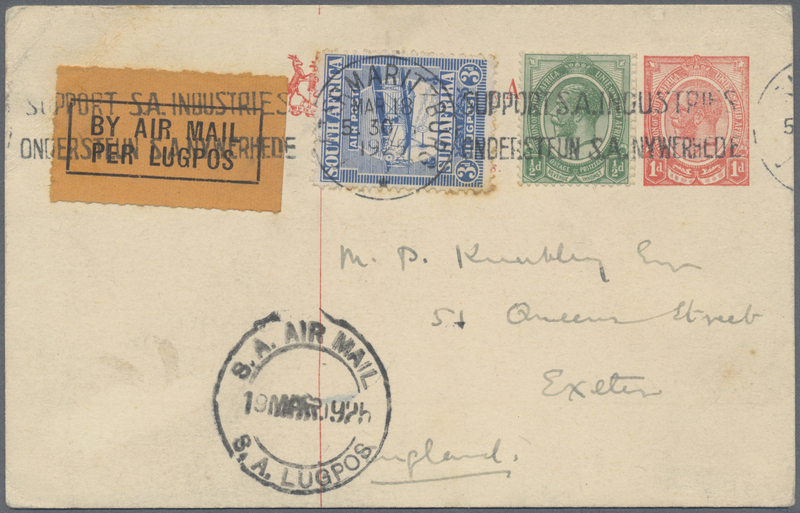 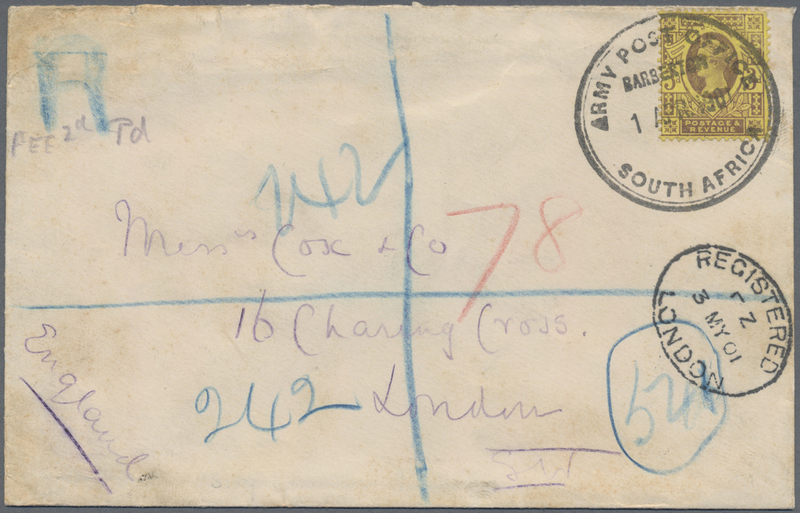 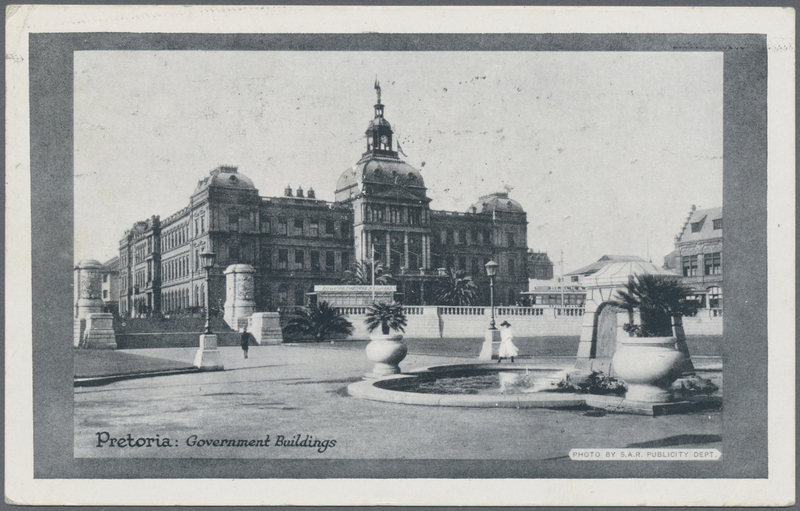 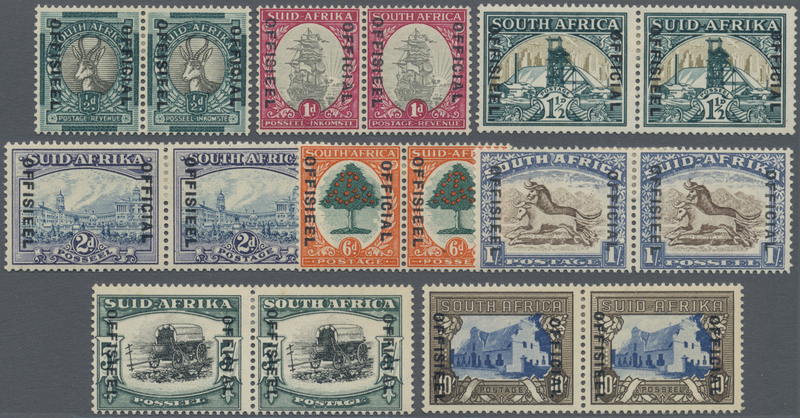 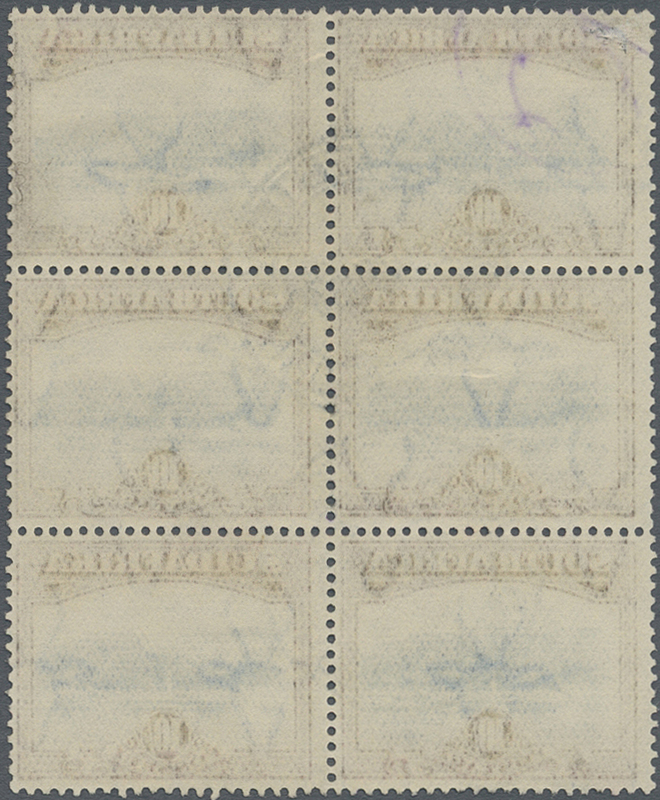 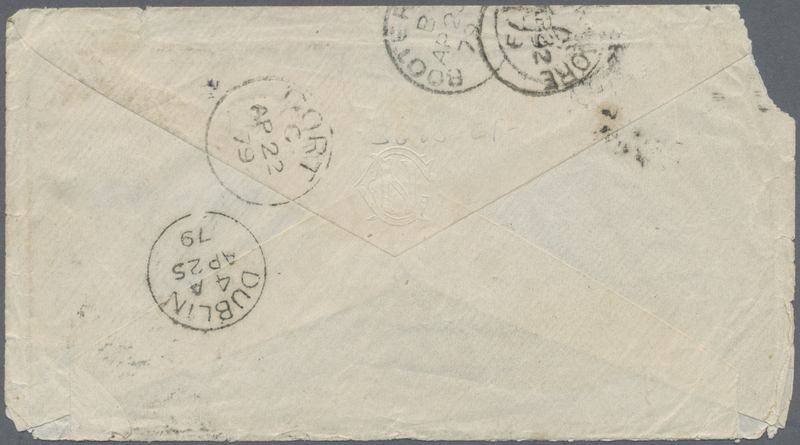 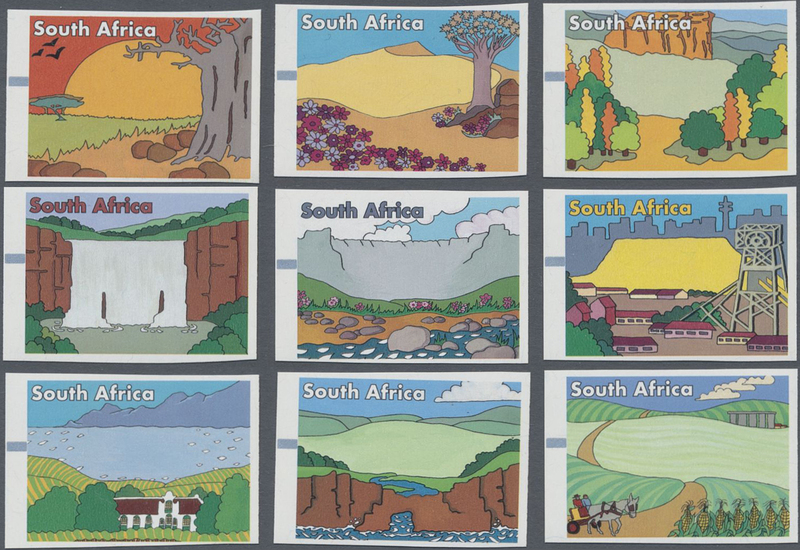 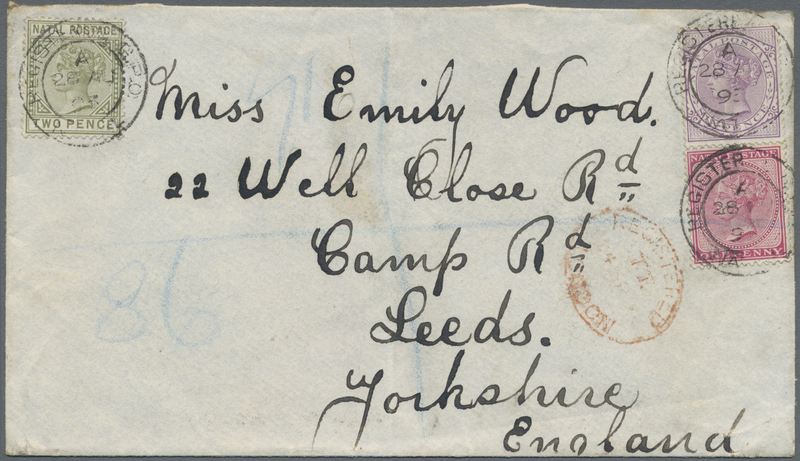 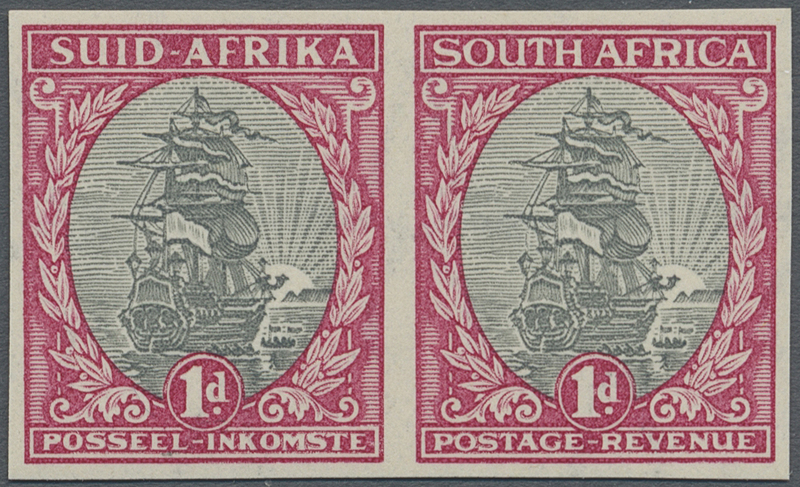 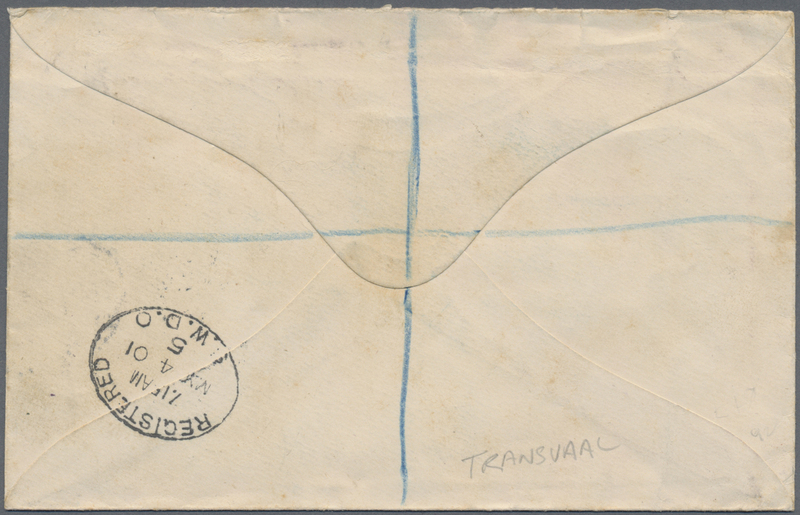 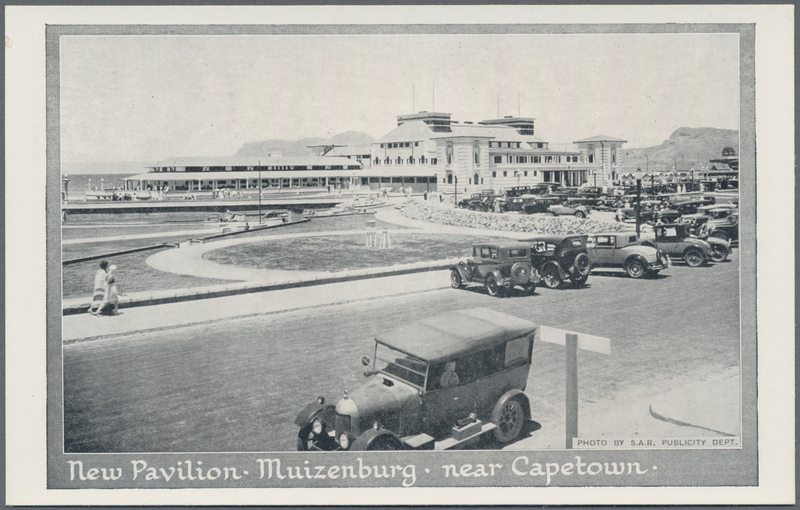 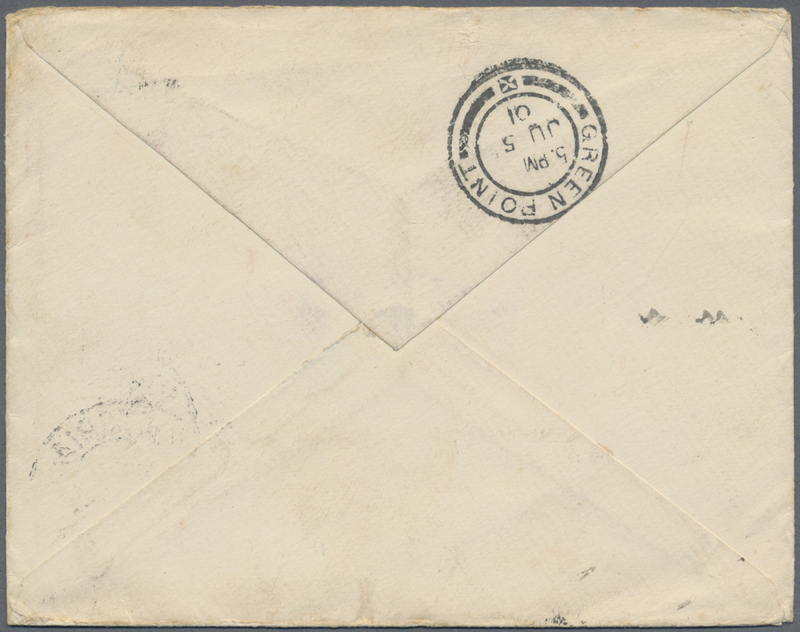 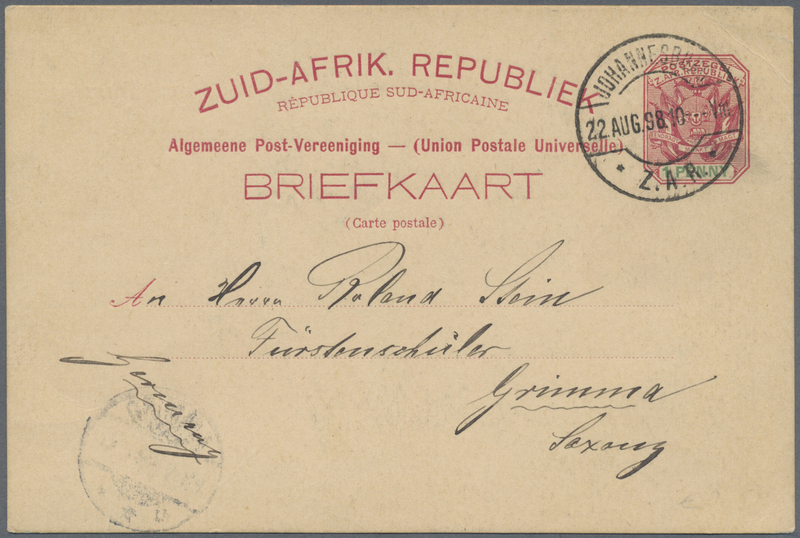 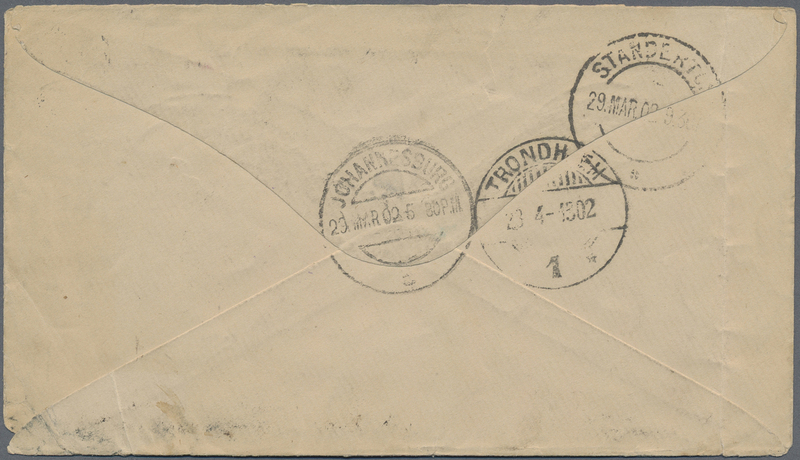 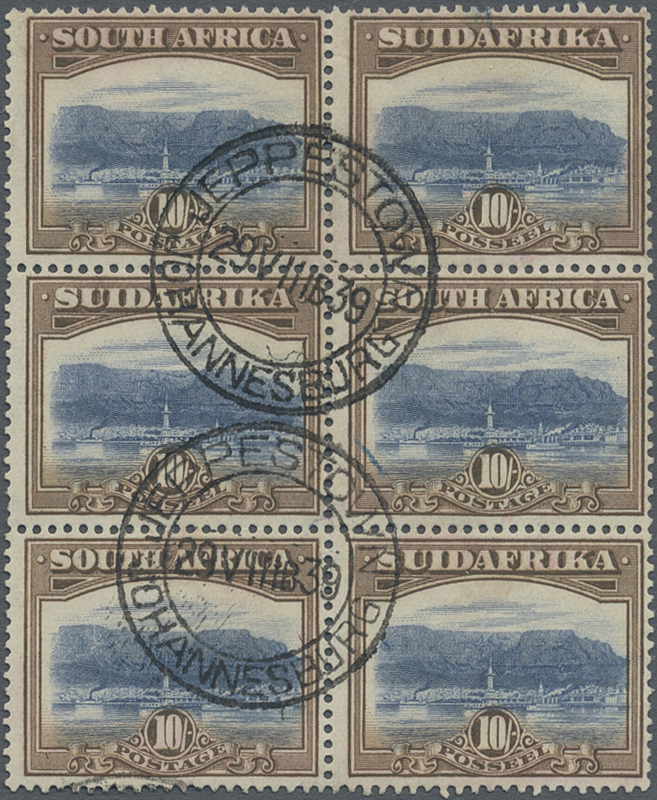 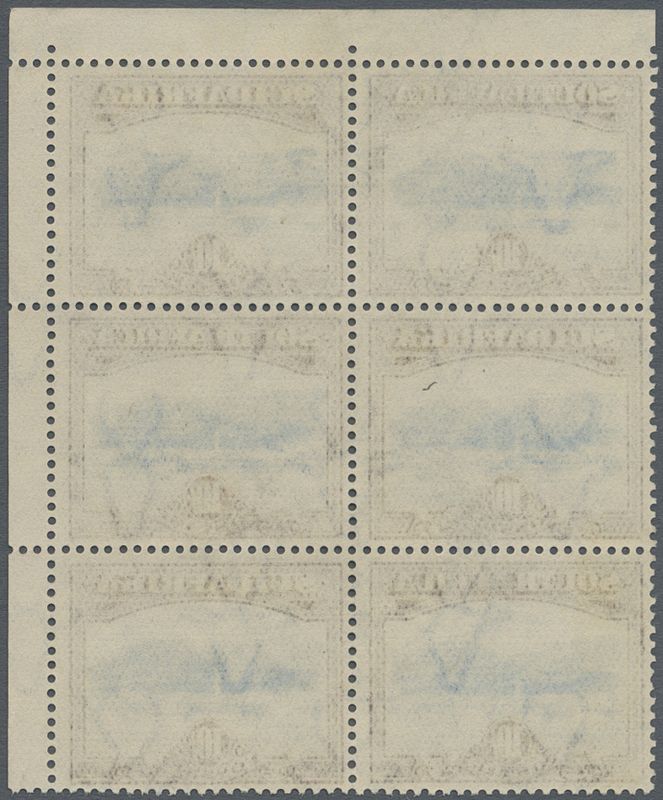 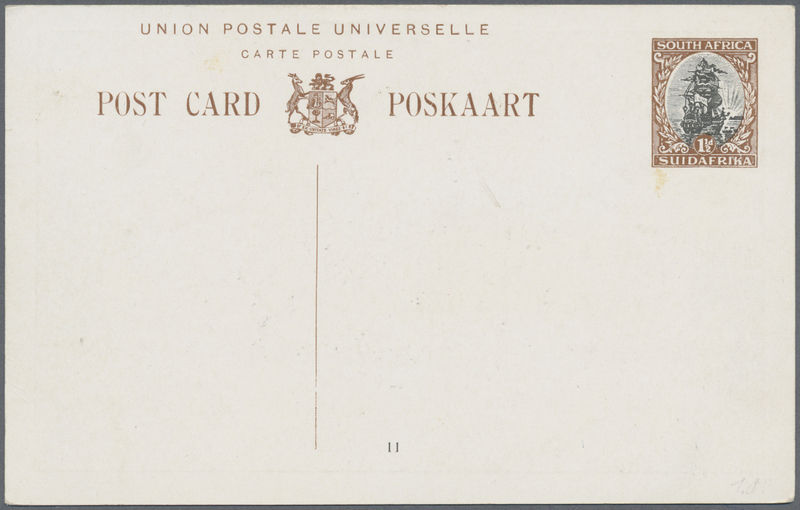 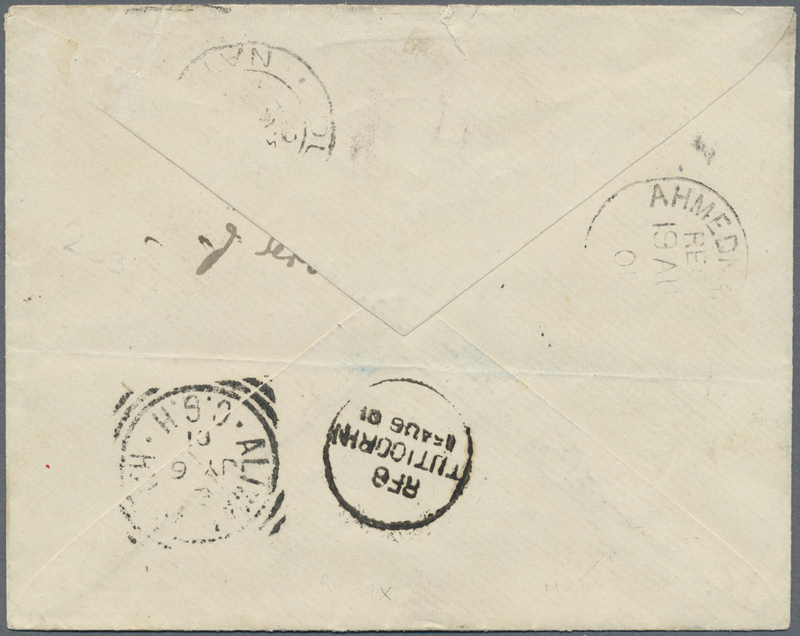 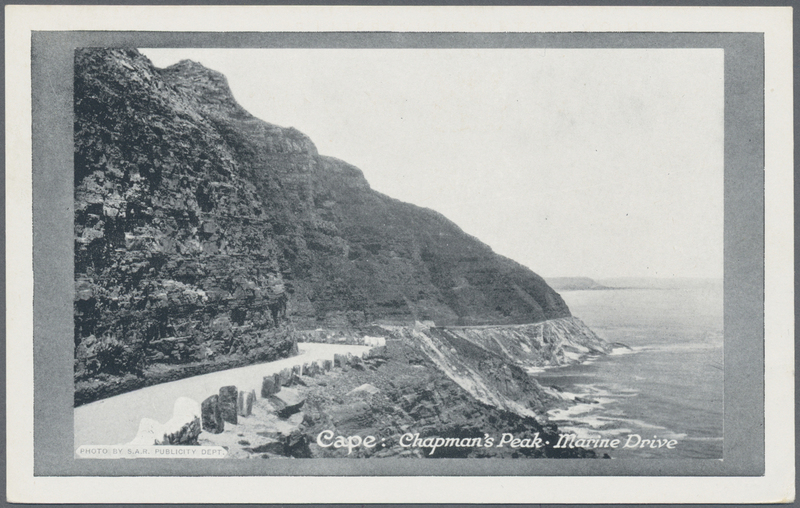 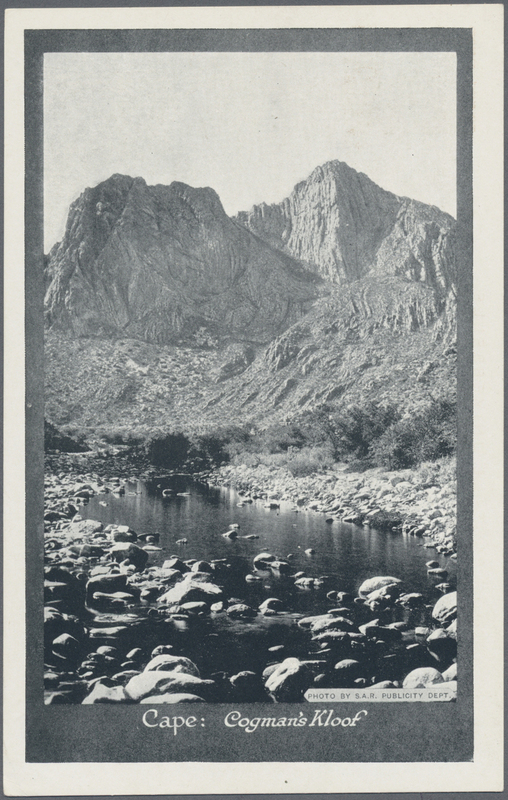 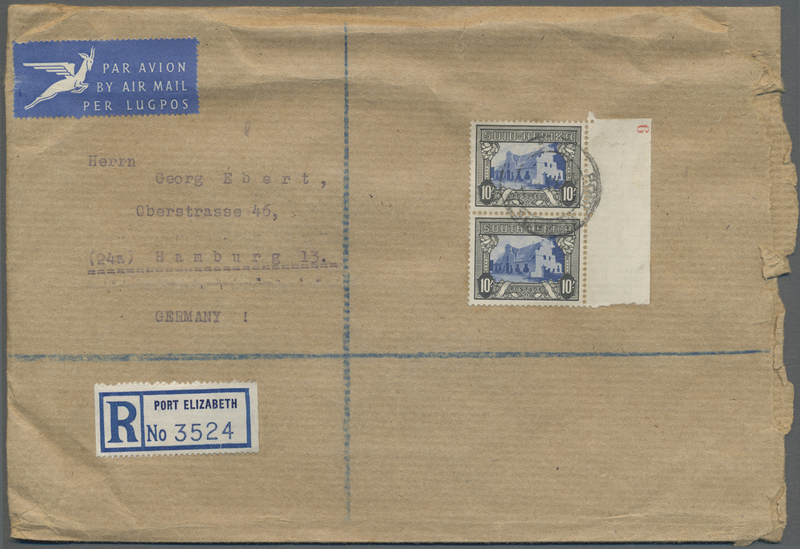 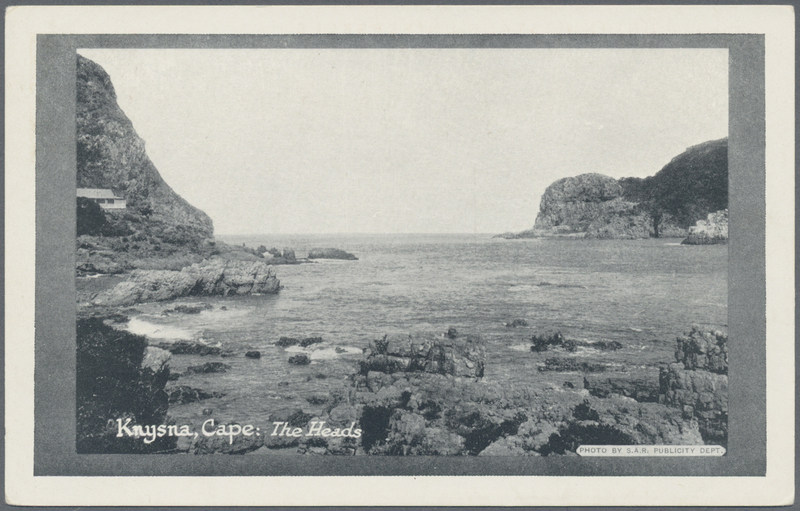 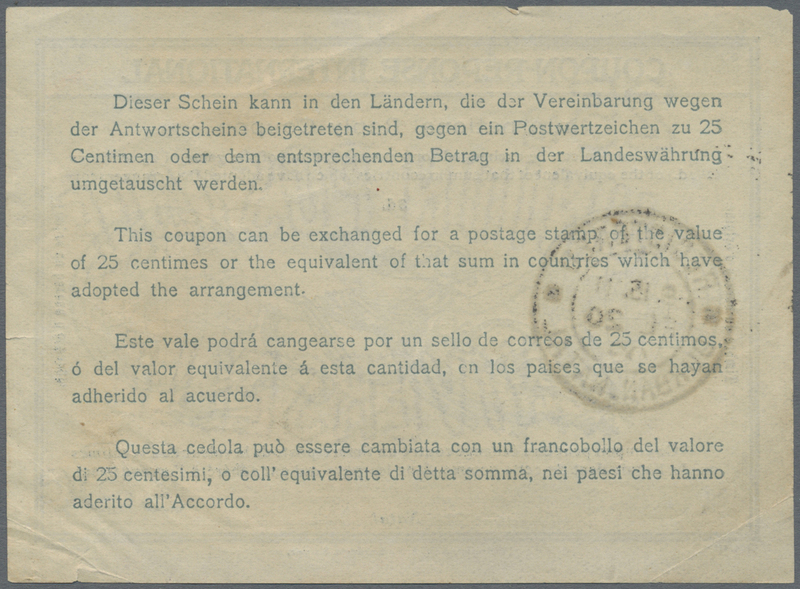 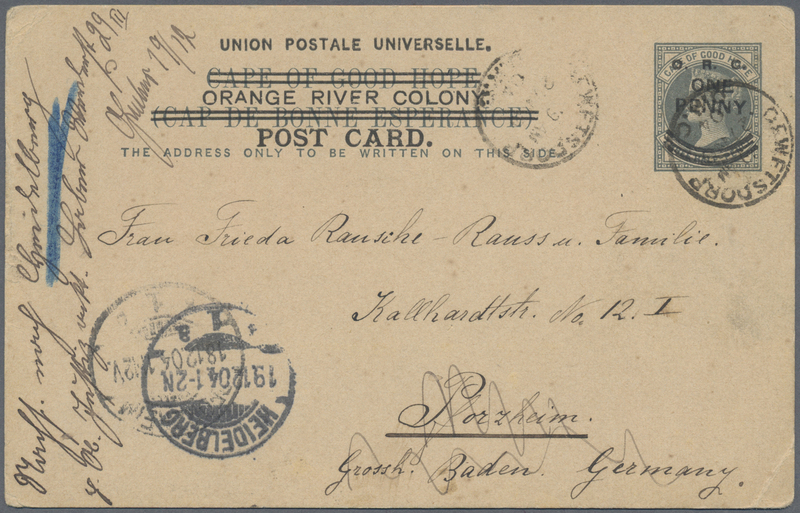 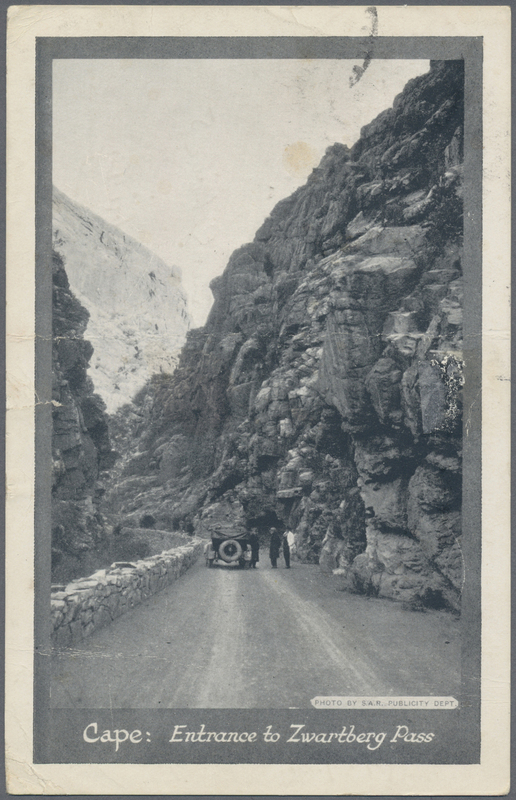 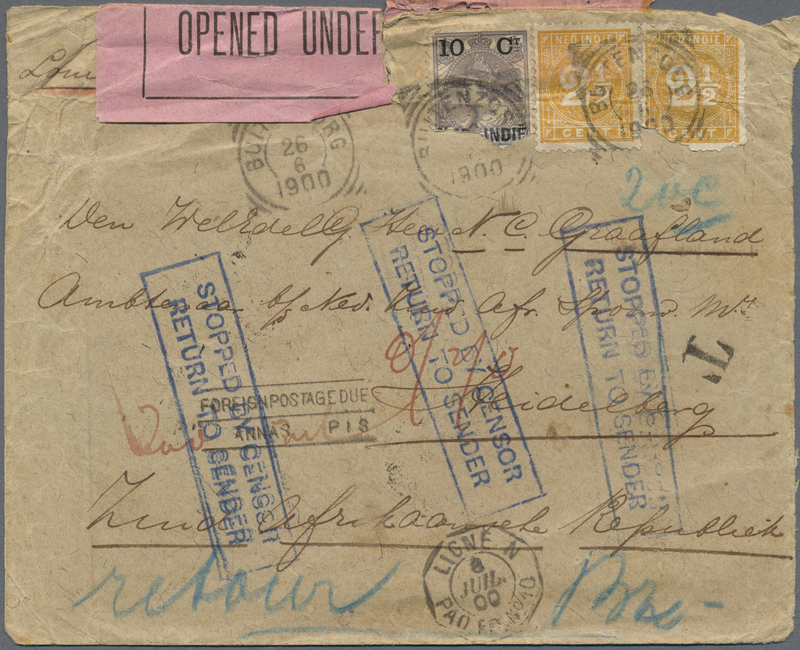 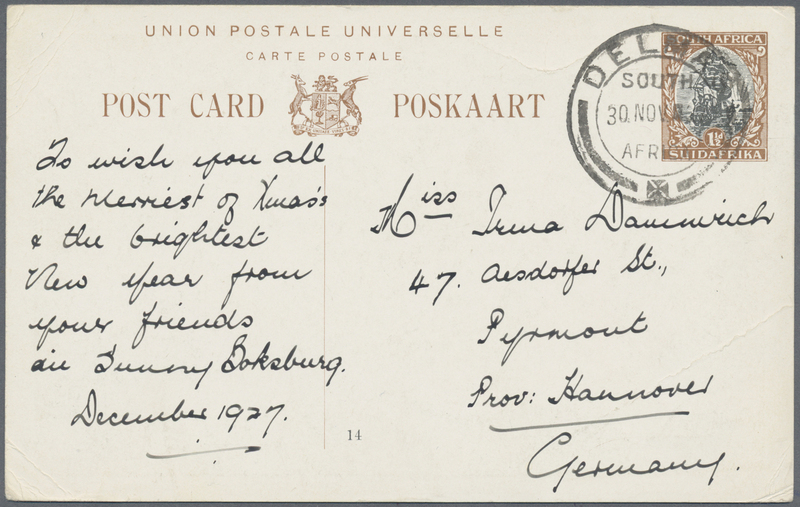 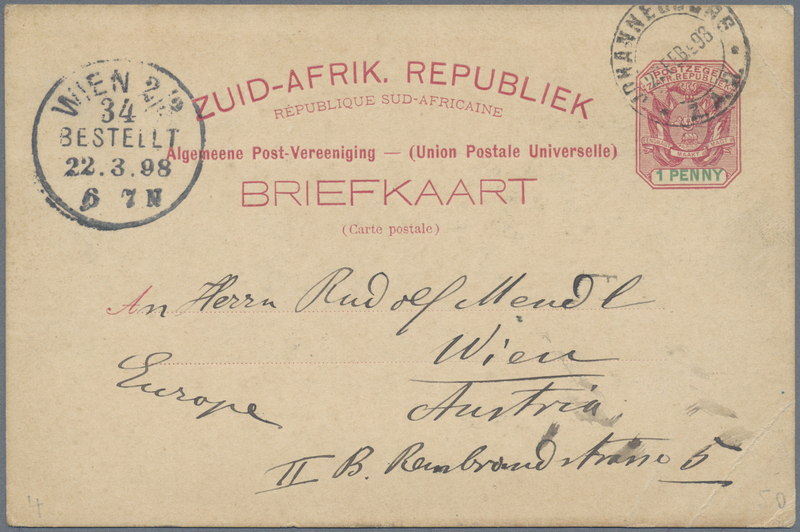 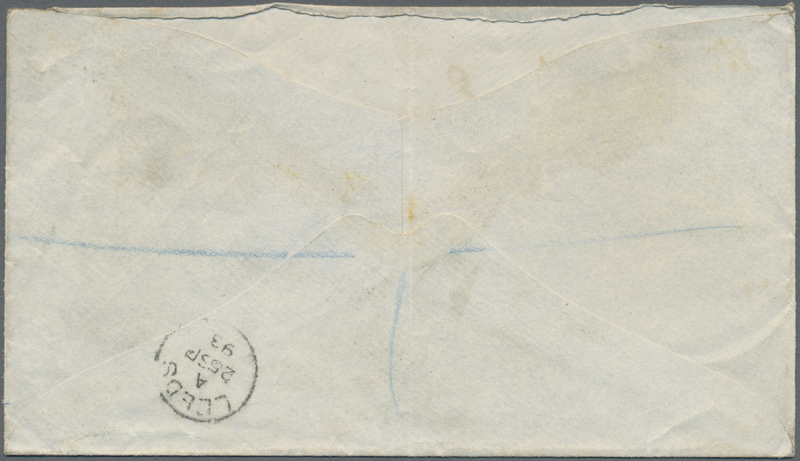 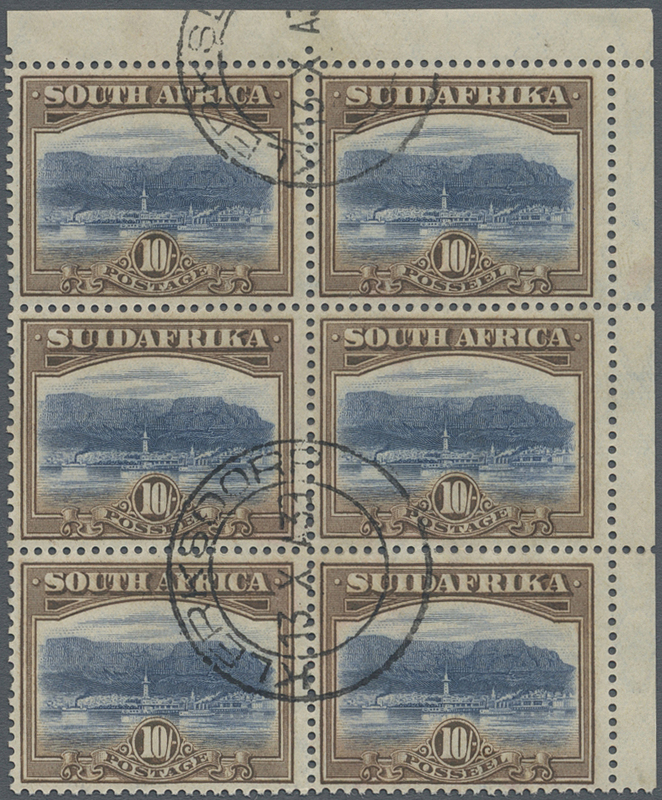 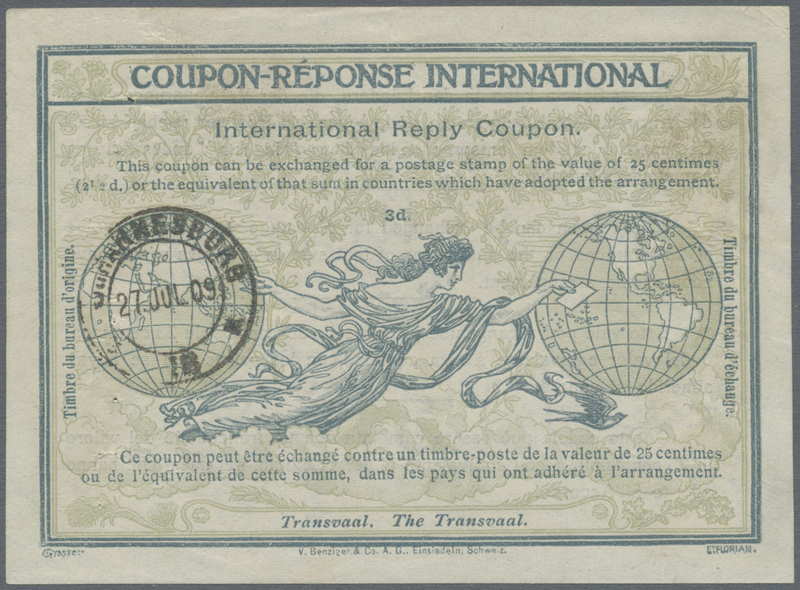 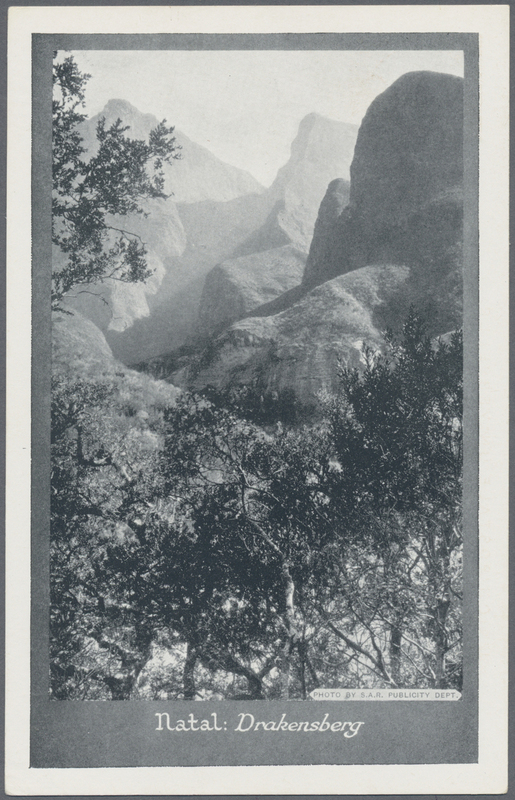 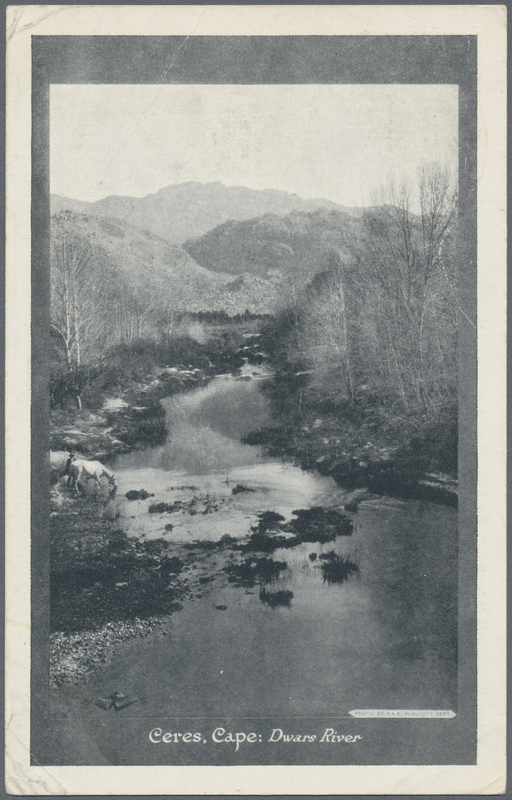 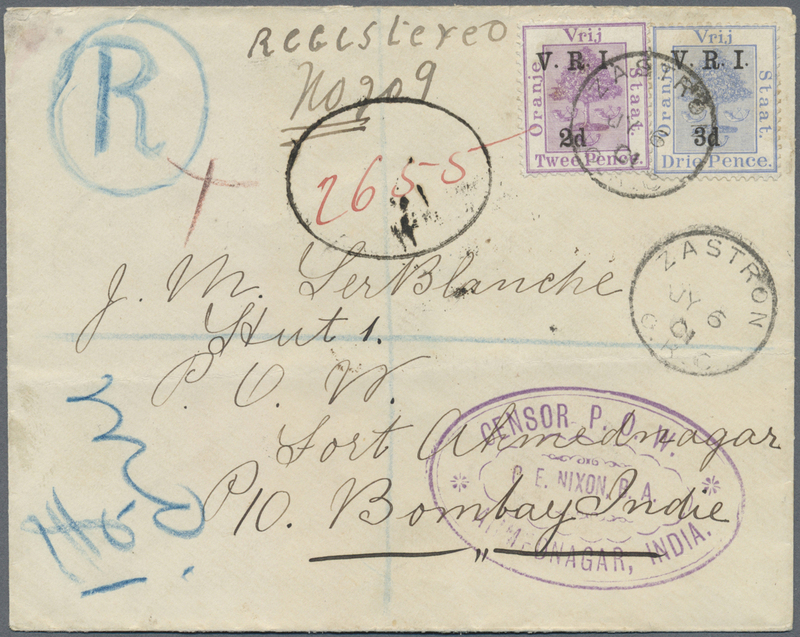 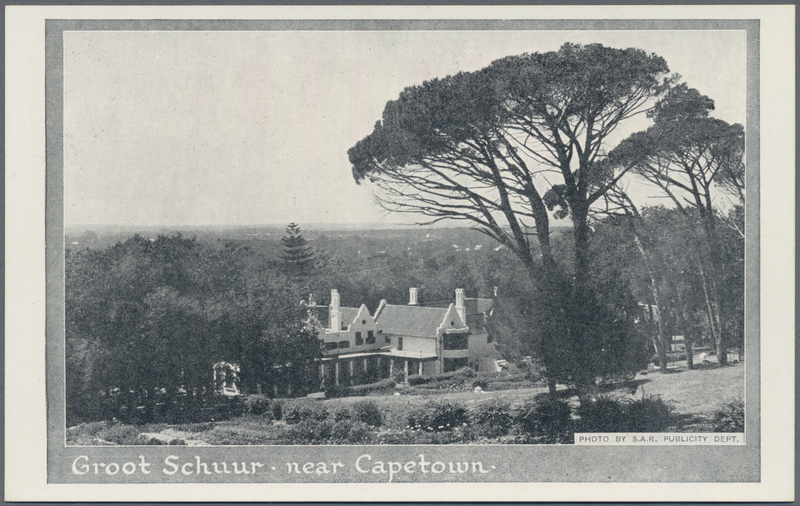 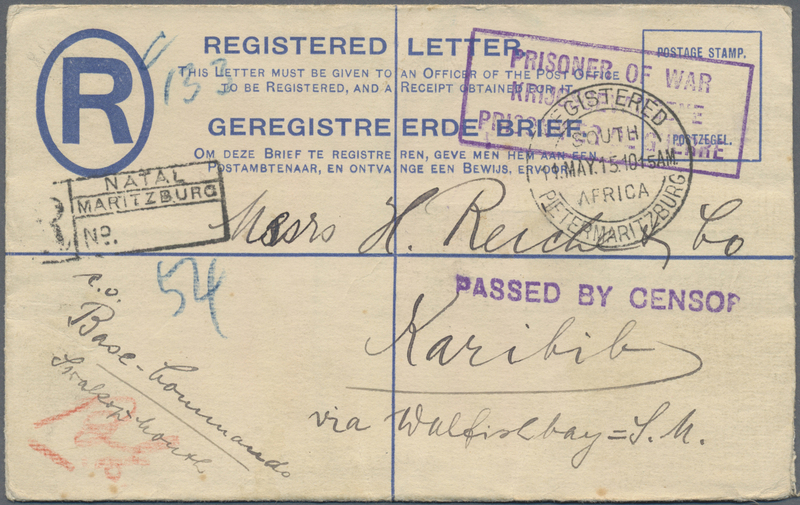 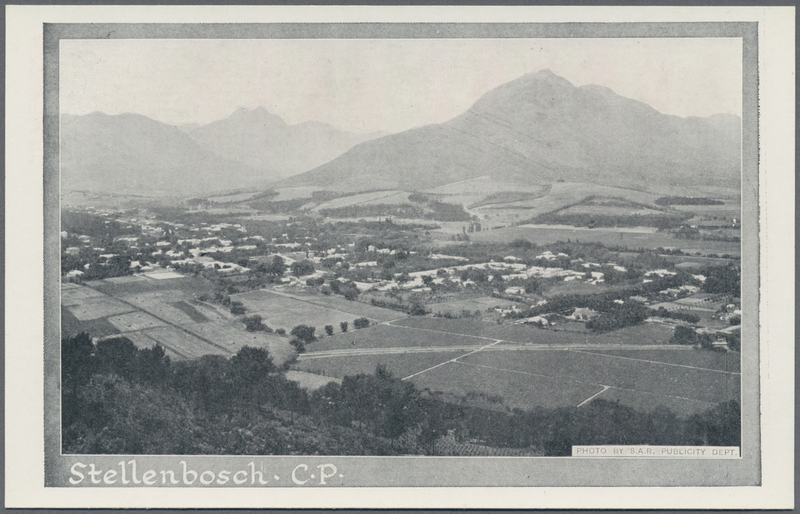 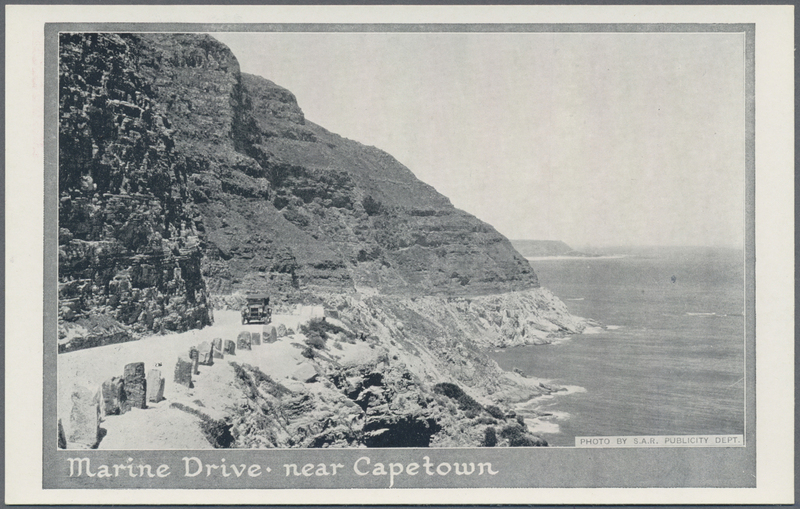 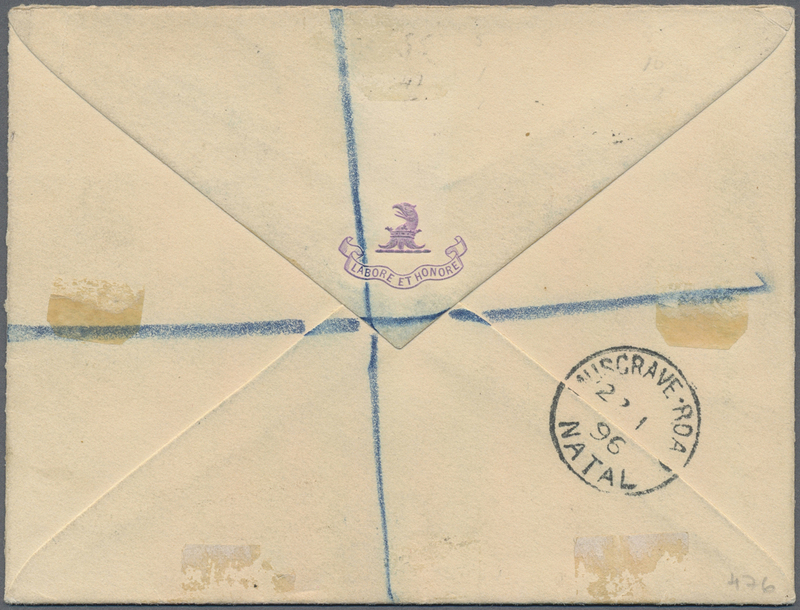 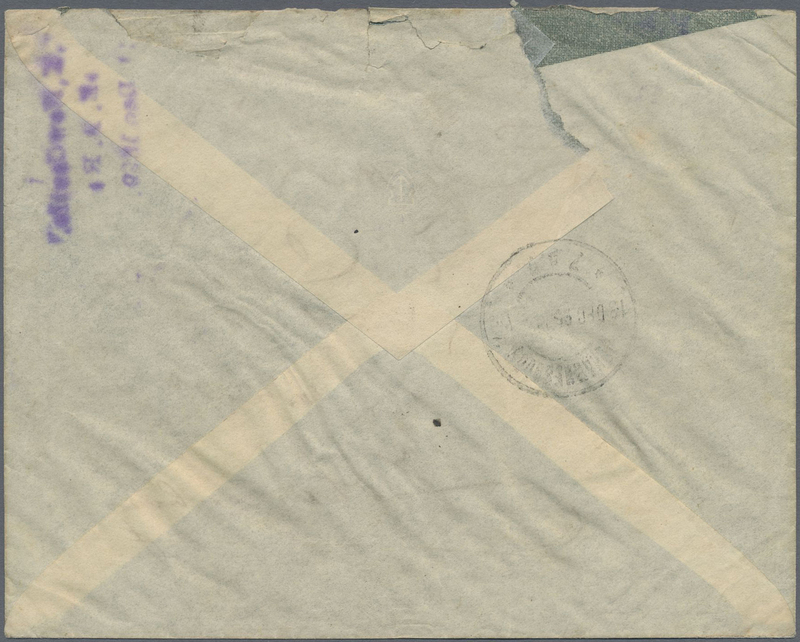 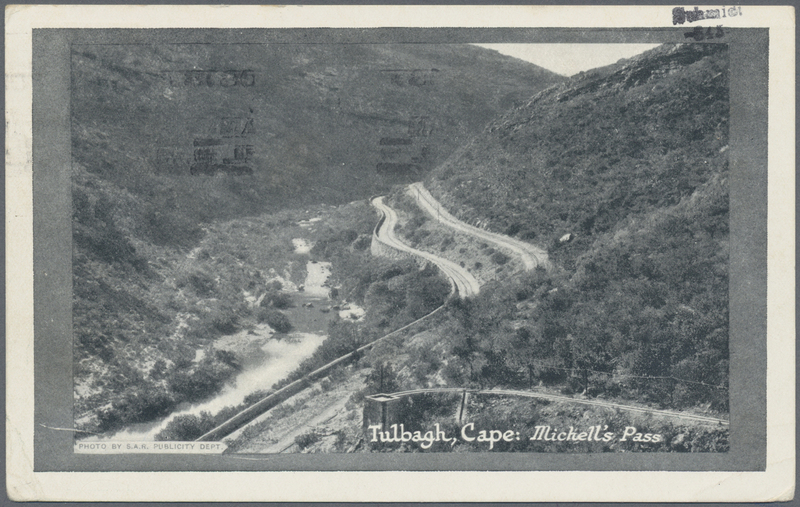 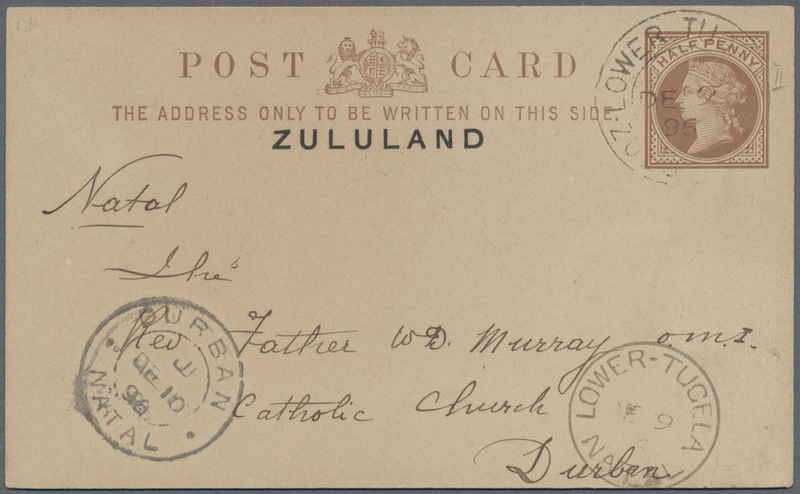 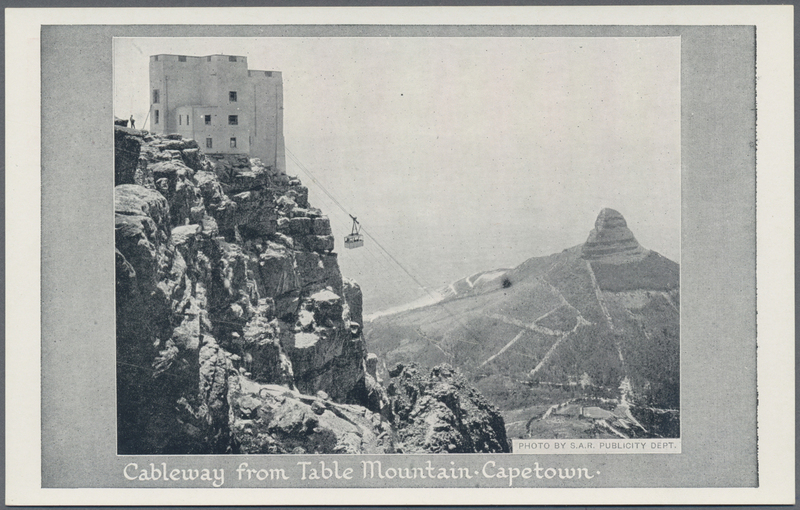 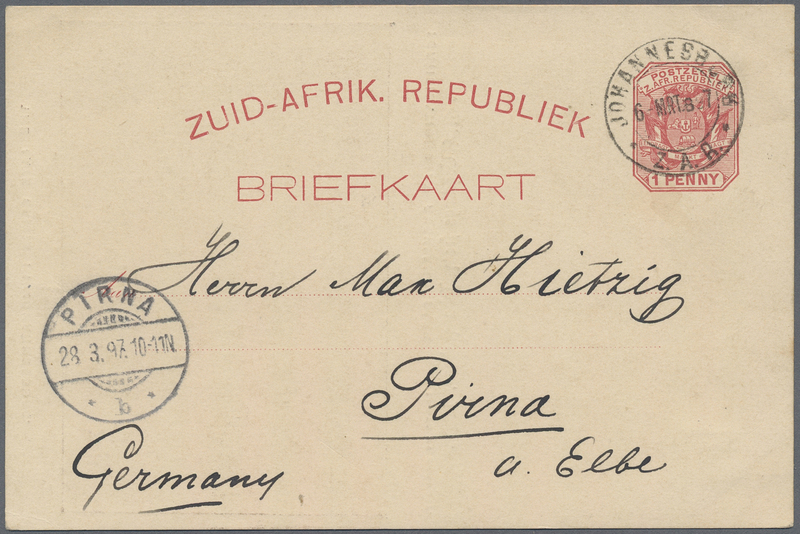 12772 Ganzsache (Complete) "LOWER TUGELA ZULULAND DE 9 1896" cds on overprinted 1/2d postal stationery card of Great Britain, showing "LOWER-TUGELA NATAL" transit and "DURBAN NATAL" arrival. 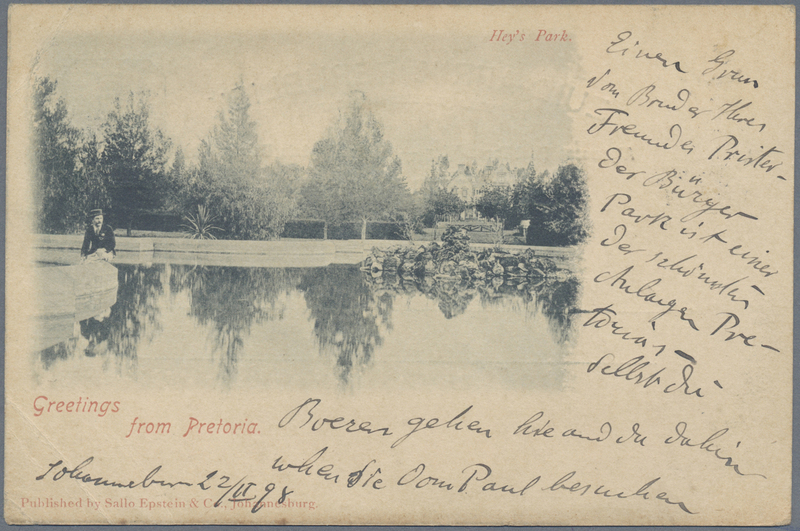 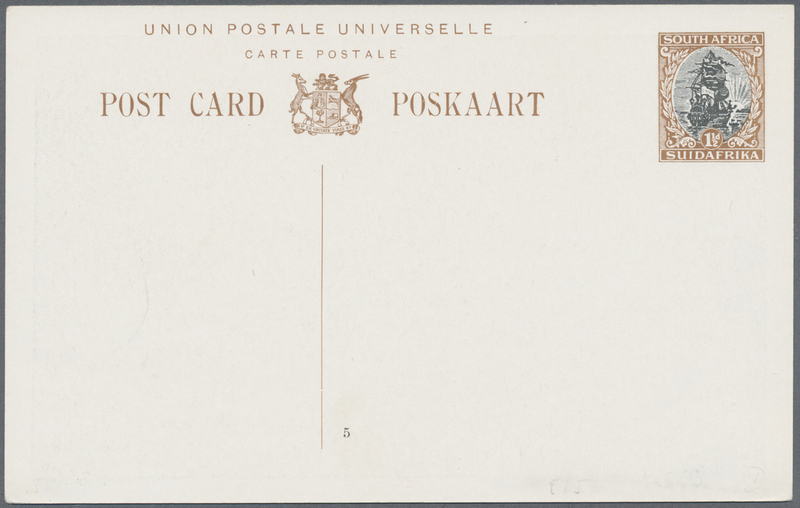 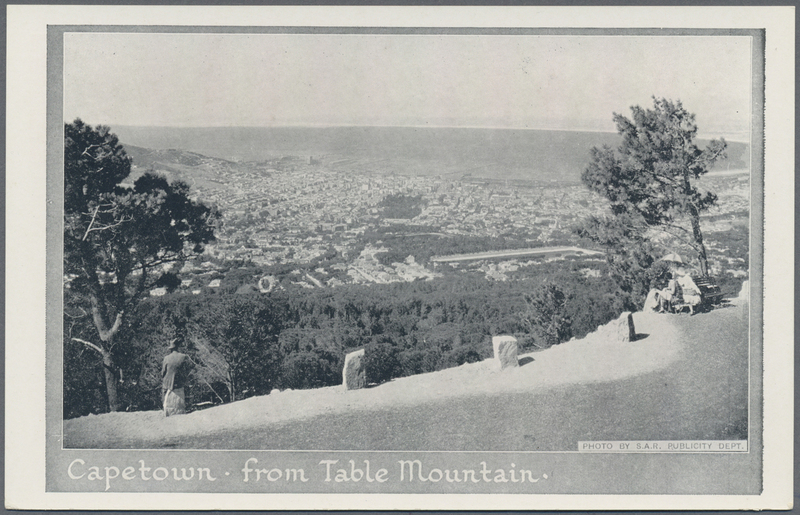 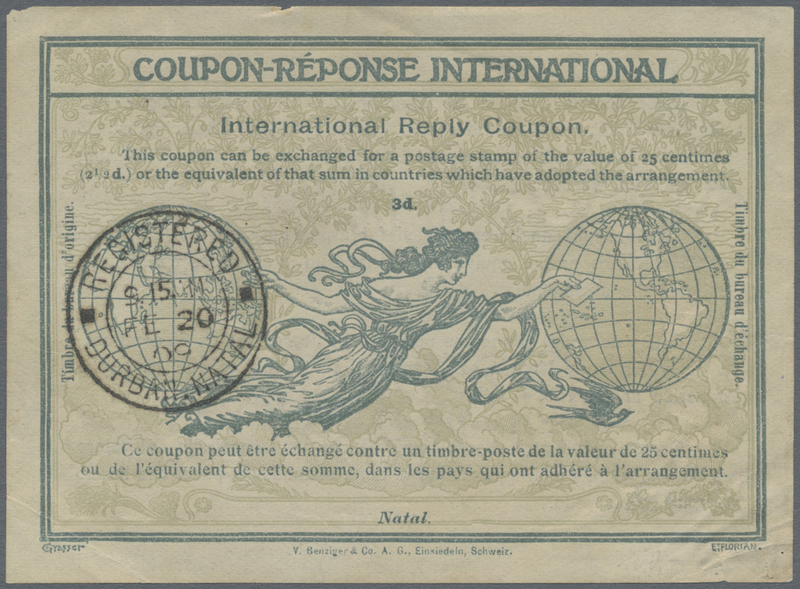 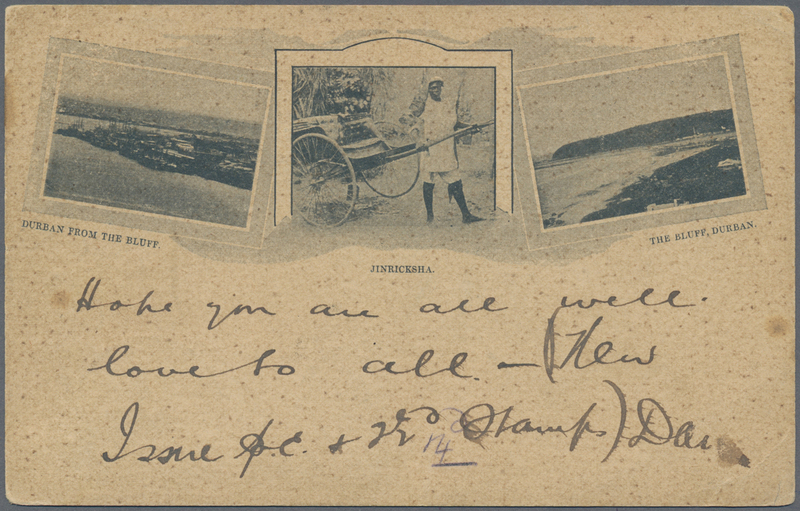 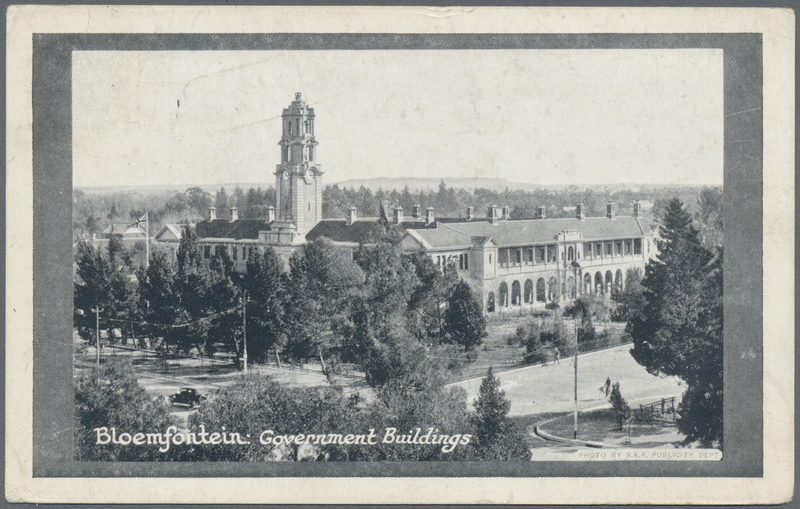 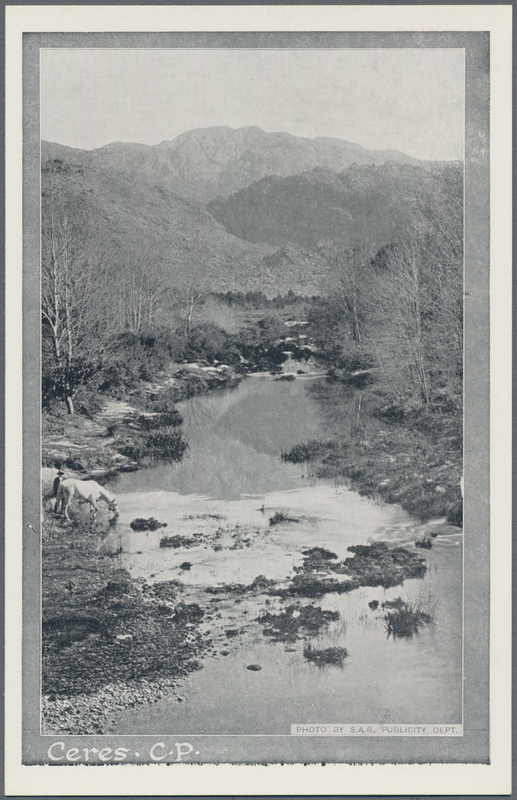 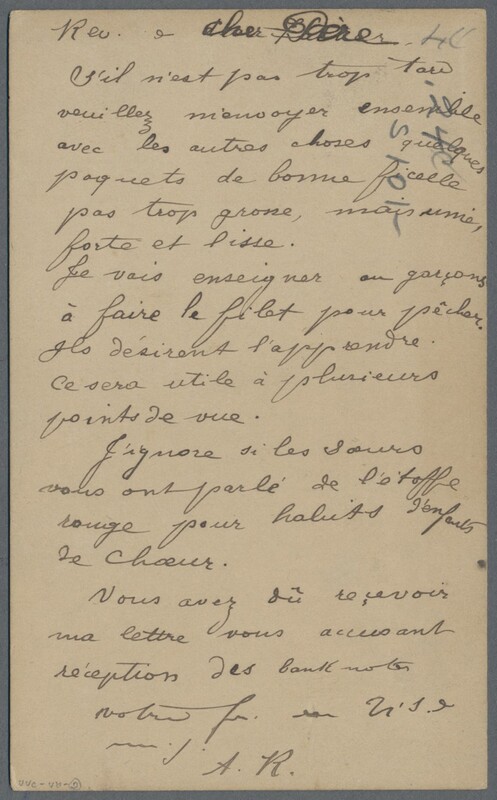 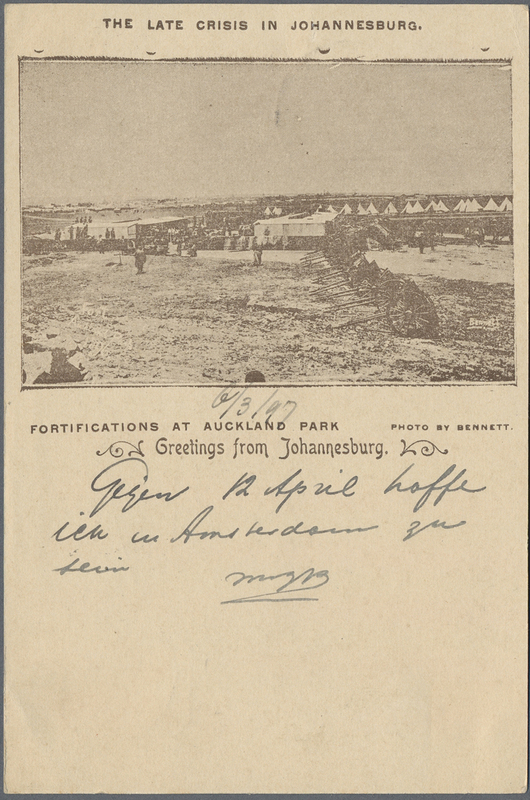 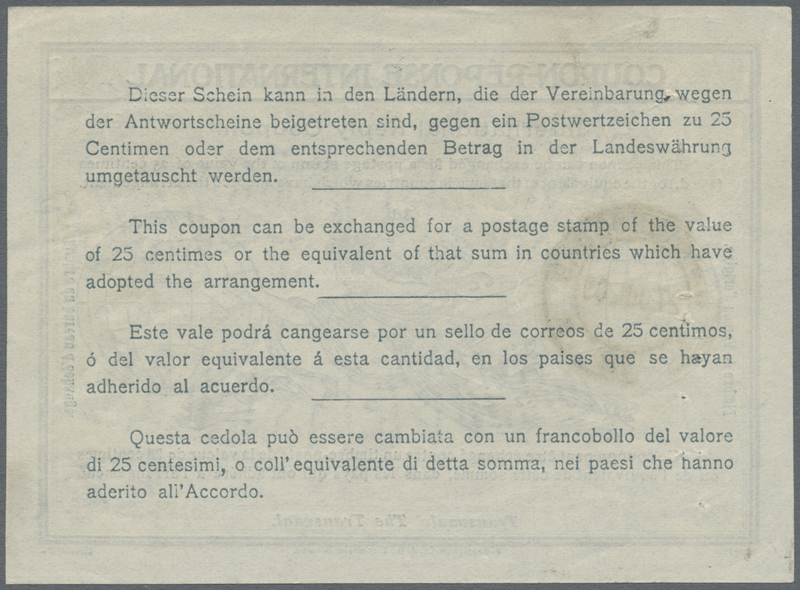 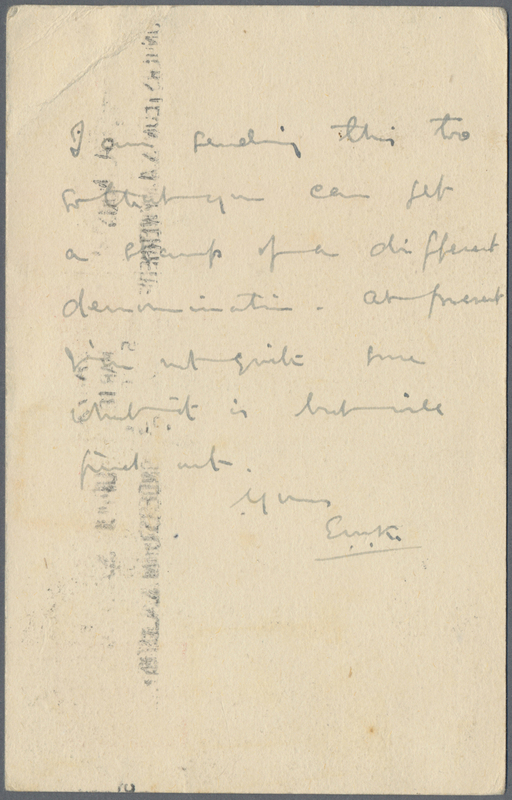 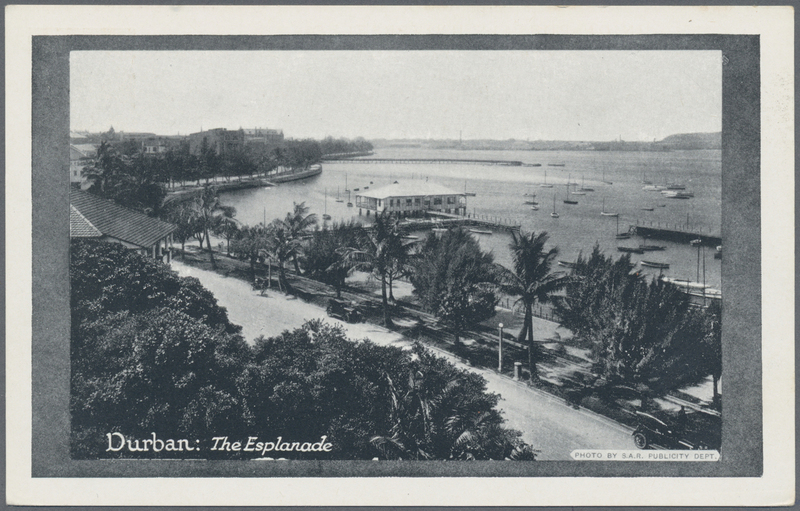 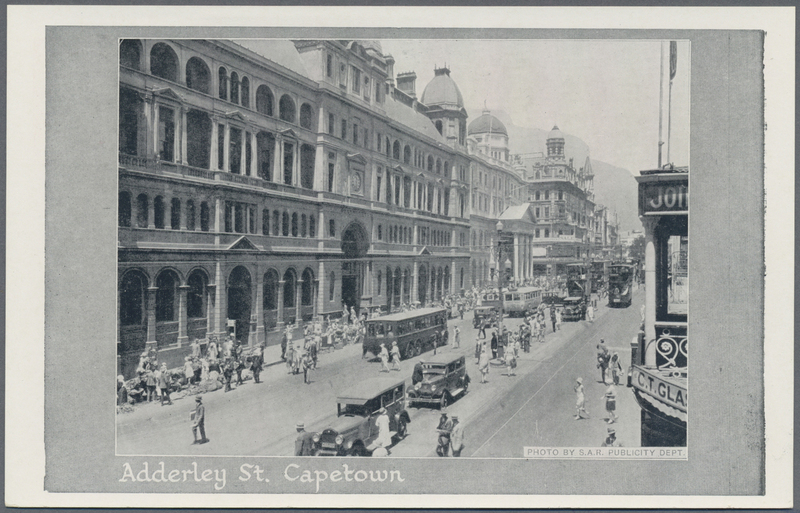 The very fine postcard was written by a french speaking missionnary who mentions that he wishes to teach the locals how to make fishing nets.